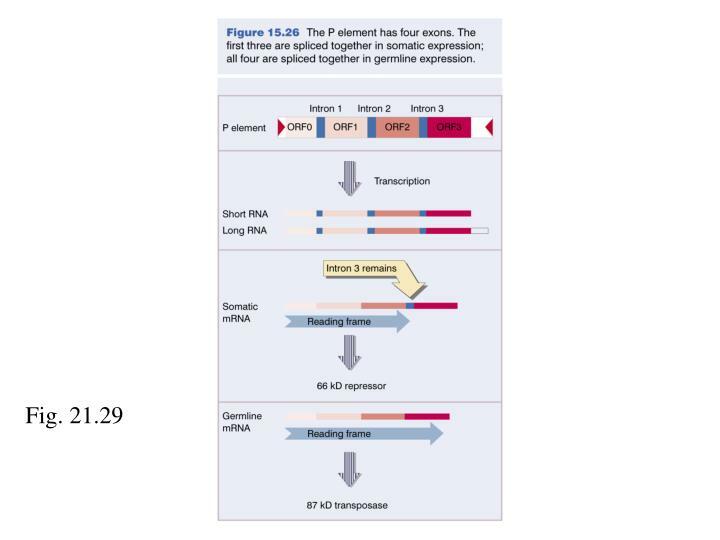 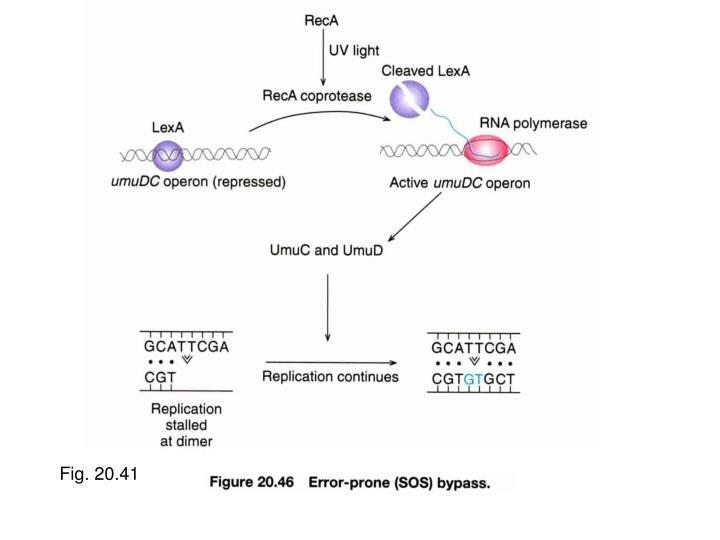 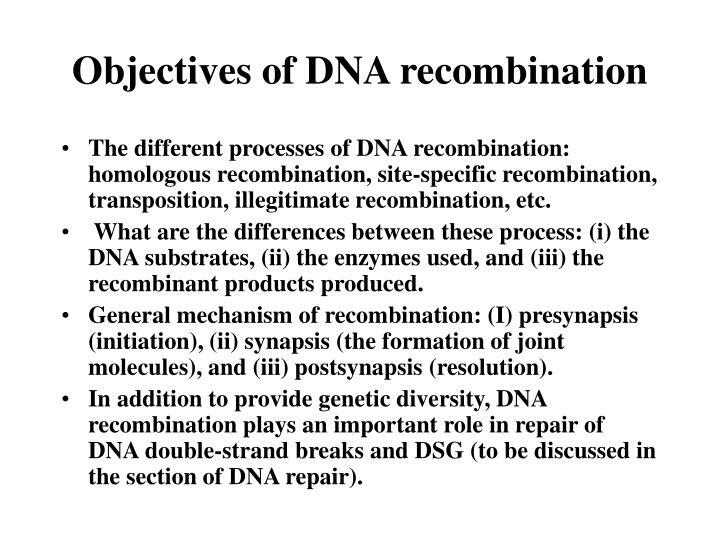 Objectives of DNA recombination. 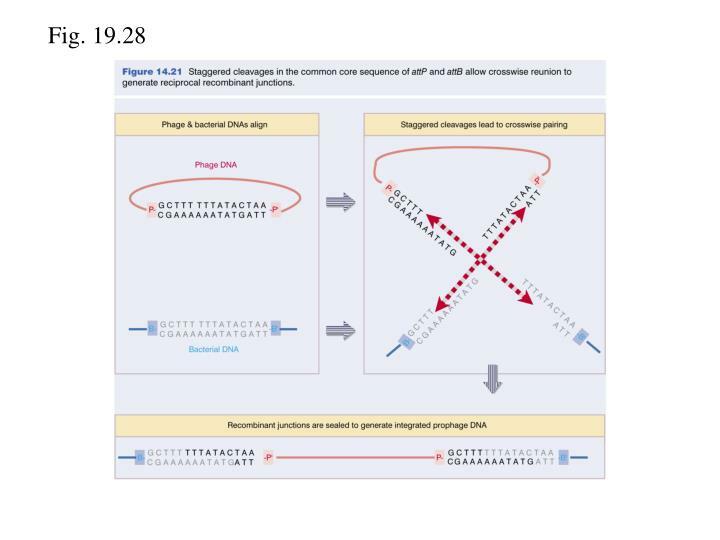 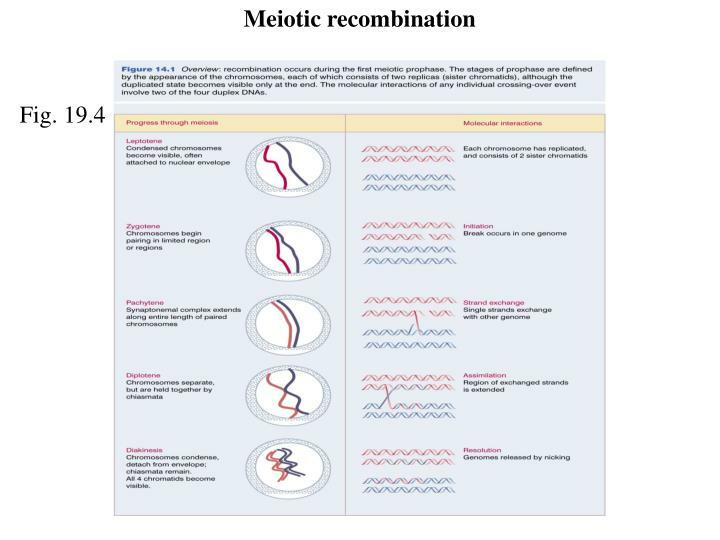 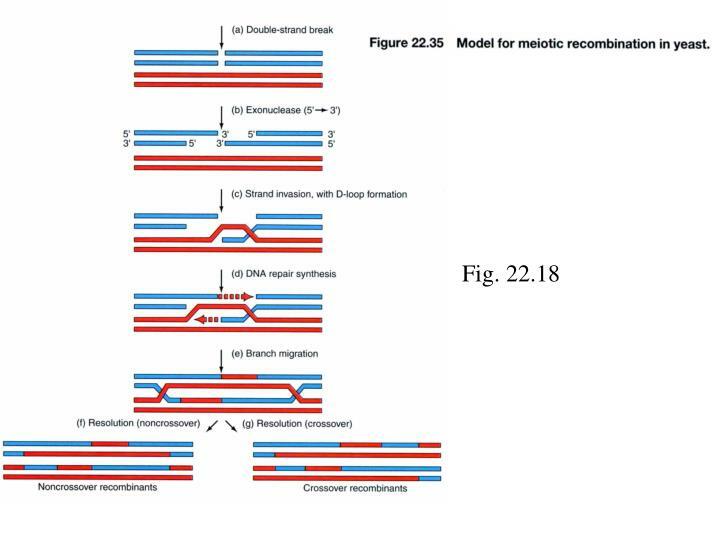 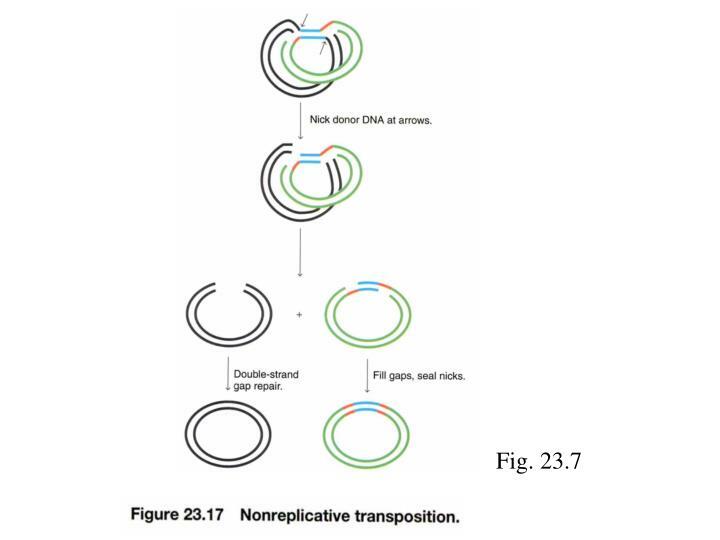 The different processes of DNA recombination: homologous recombination, site-specific recombination, transposition, illegitimate recombination, etc. 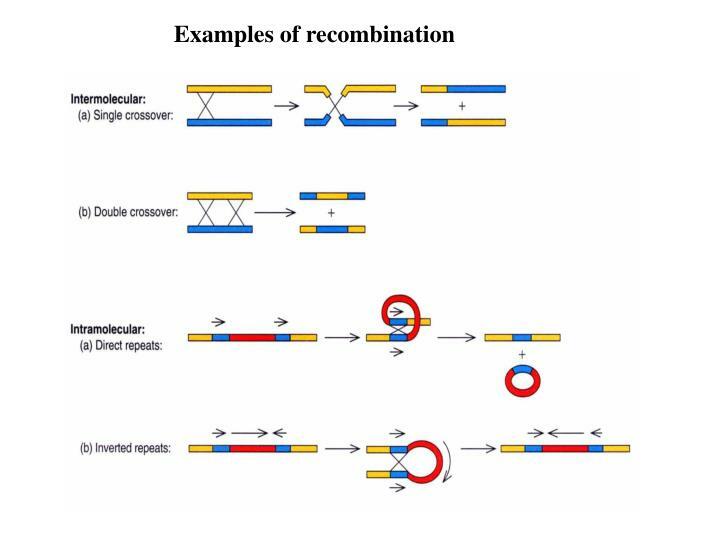 The different processes of DNA recombination: homologous recombination, site-specific recombination, transposition, illegitimate recombination, etc. 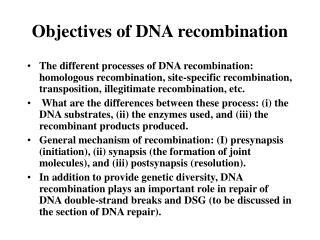 What are the differences between these process: (i) the DNA substrates, (ii) the enzymes used, and (iii) the recombinant products produced. 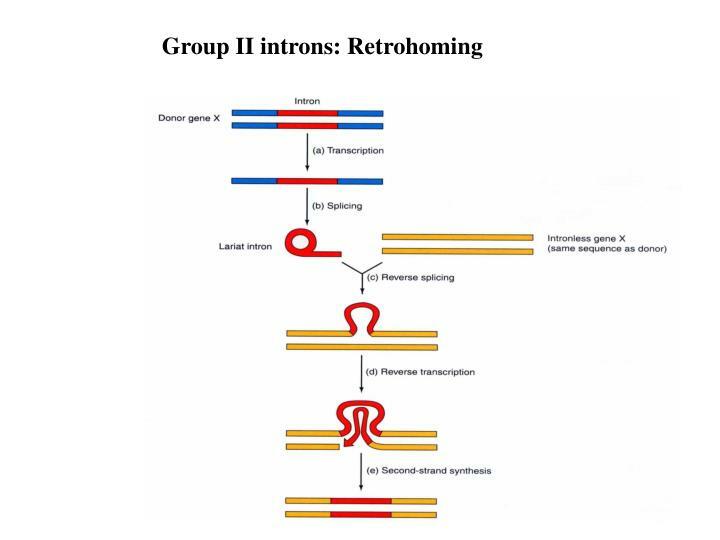 General mechanism of recombination: (I) presynapsis (initiation), (ii) synapsis (the formation of joint molecules), and (iii) postsynapsis (resolution). 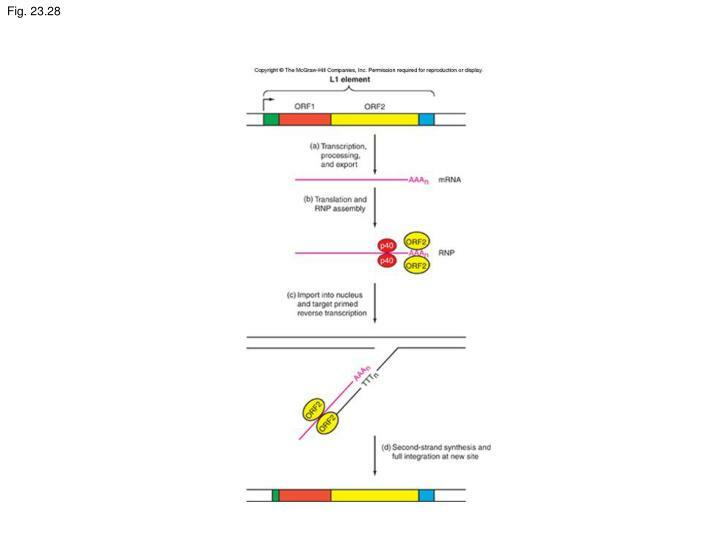 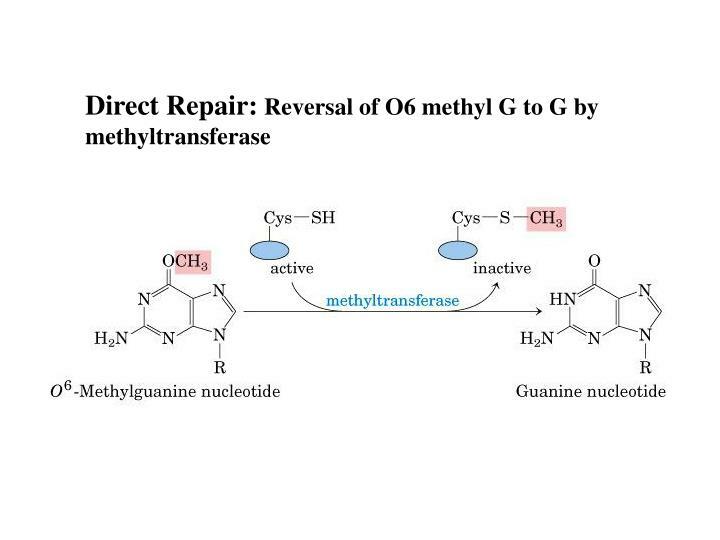 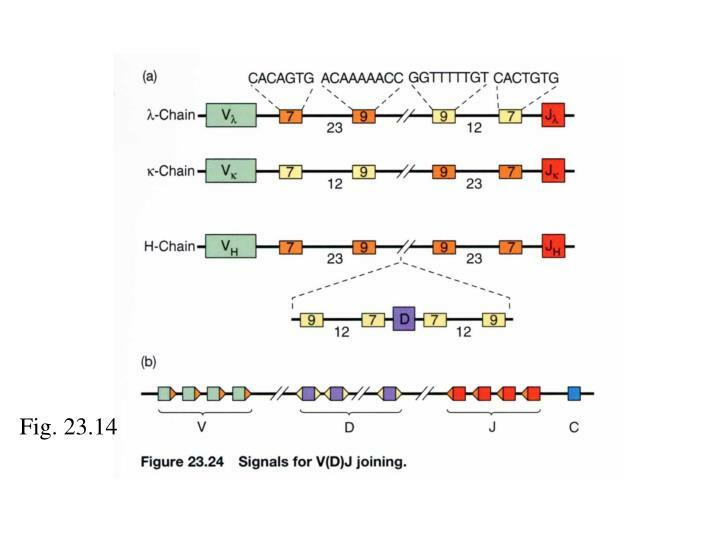 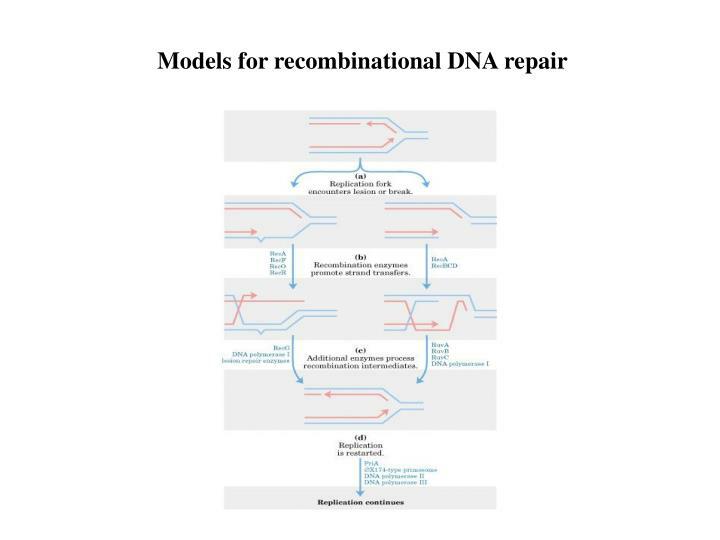 In addition to provide genetic diversity, DNA recombination plays an important role in repair of DNA double-strand breaks and DSG (to be discussed in the section of DNA repair). 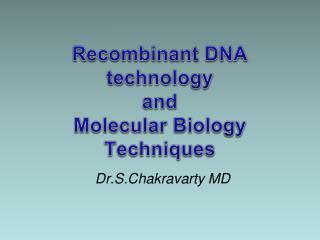 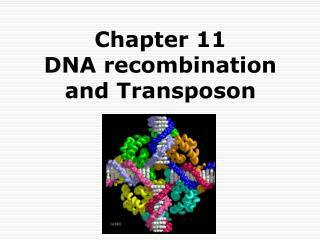 Refer to recombination between homologous DNA sequence in the same or different DNA molecules. 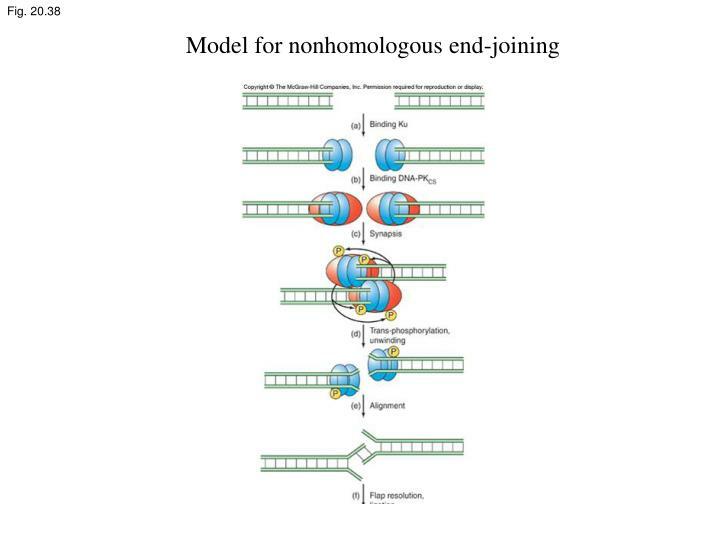 The enzymes involved in this process can catalyze recombination between any pair of homologous sequences, as long as the size of homologous sequence is longer than 45 nt or longer. 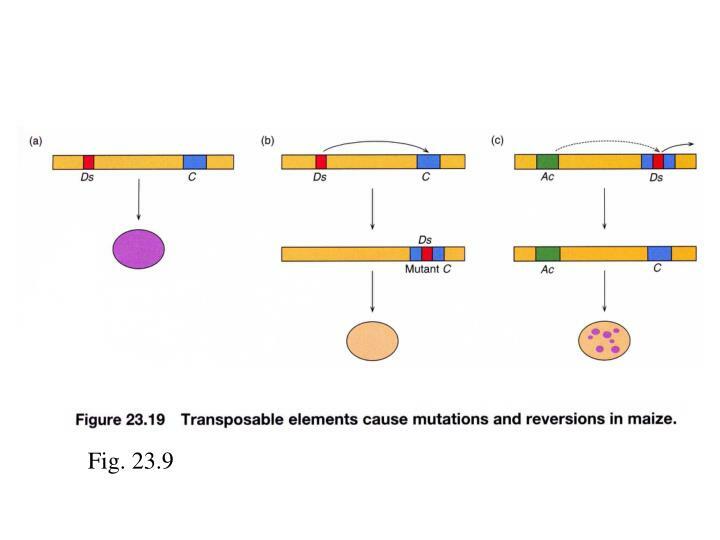 No particular sequence is required. 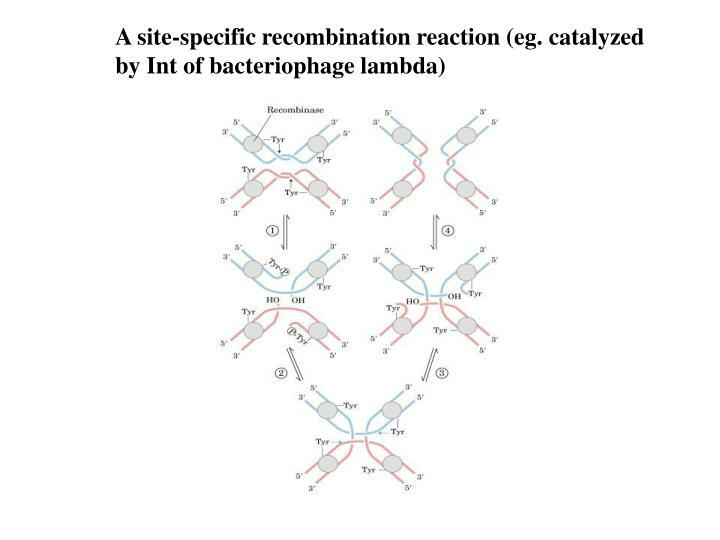 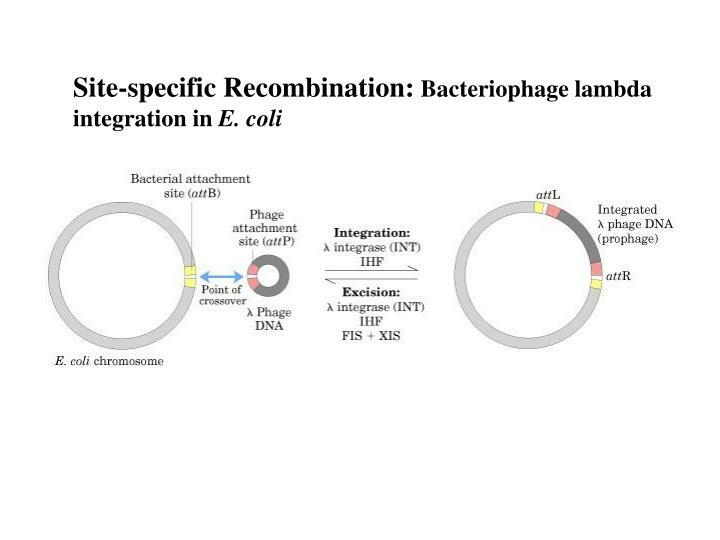 Homologous recombination of E. coli. 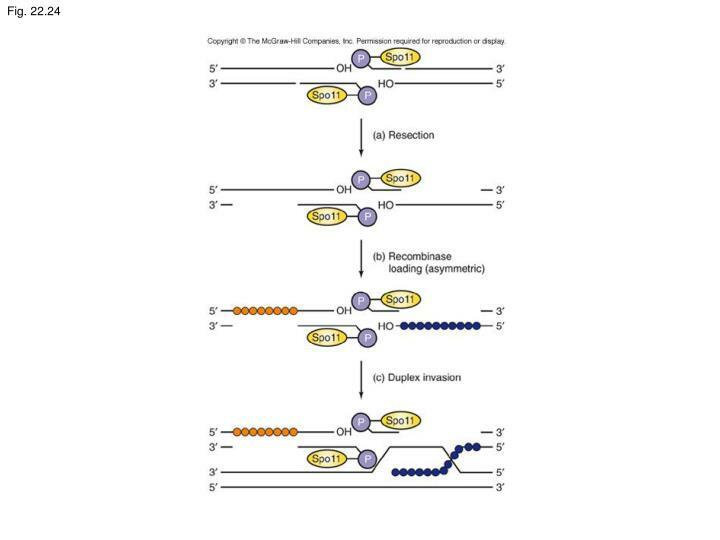 The biochemical functions of rec genes. 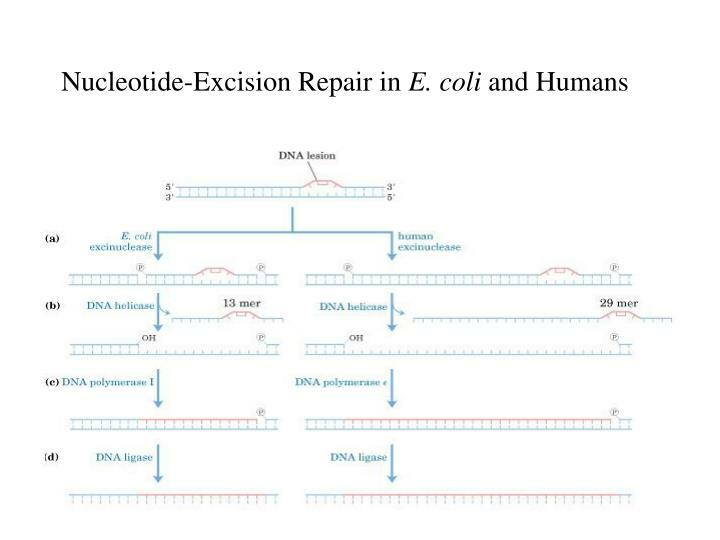 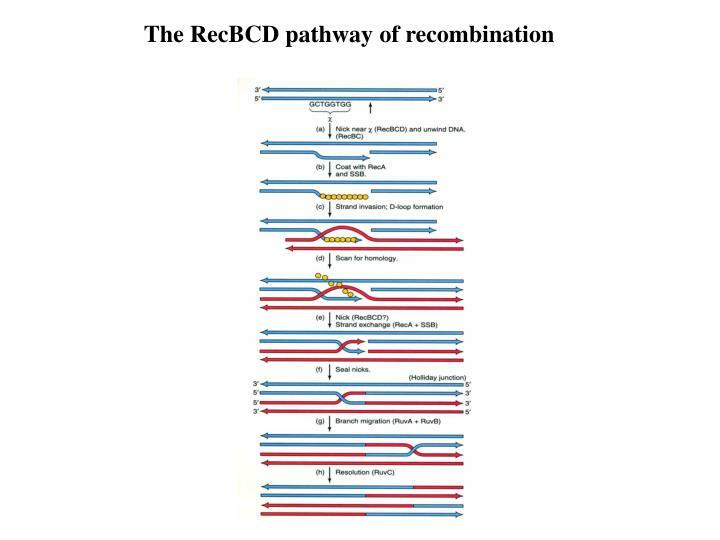 The most well characterized recombination enzymes are derived from studies with E. coli cells. 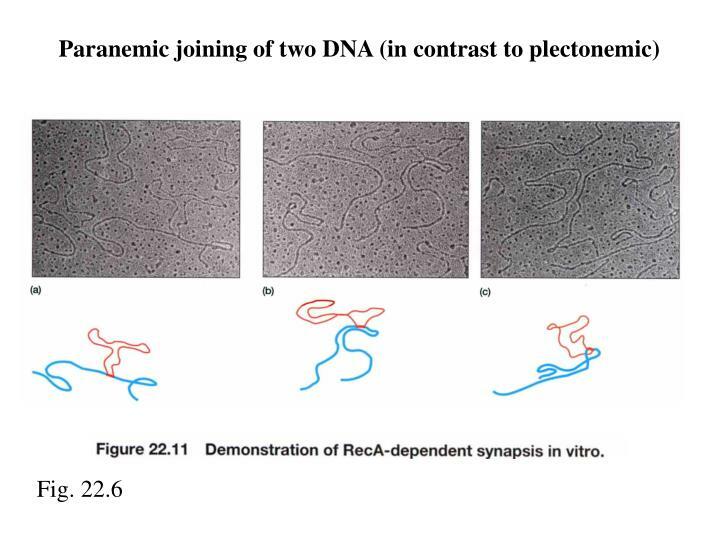 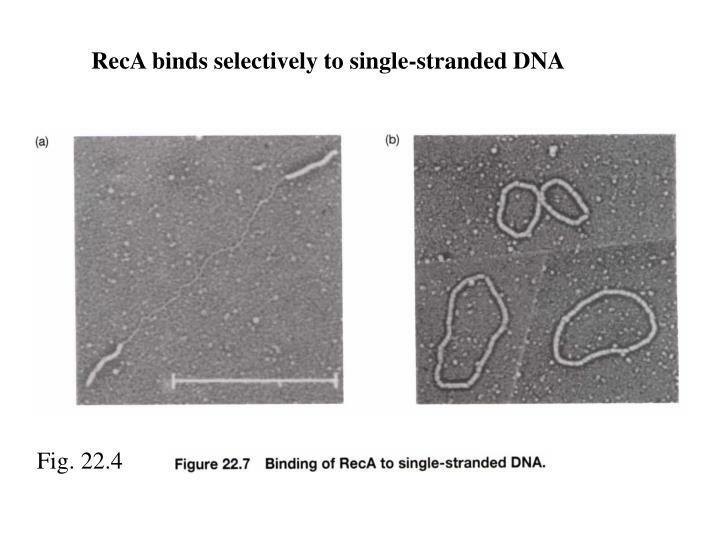 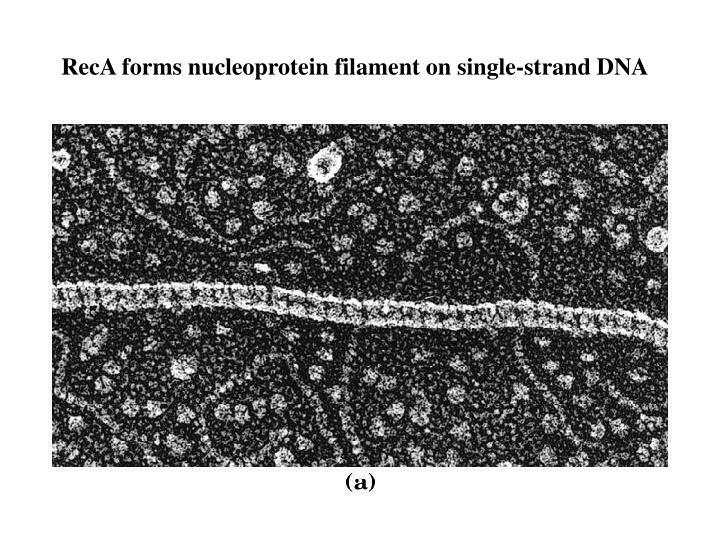 Presynapsis: helicase and/or nuclease to generate single-strand DNA with 3’-OH end (RecBCD) which may be coated by RecA and Ssb. 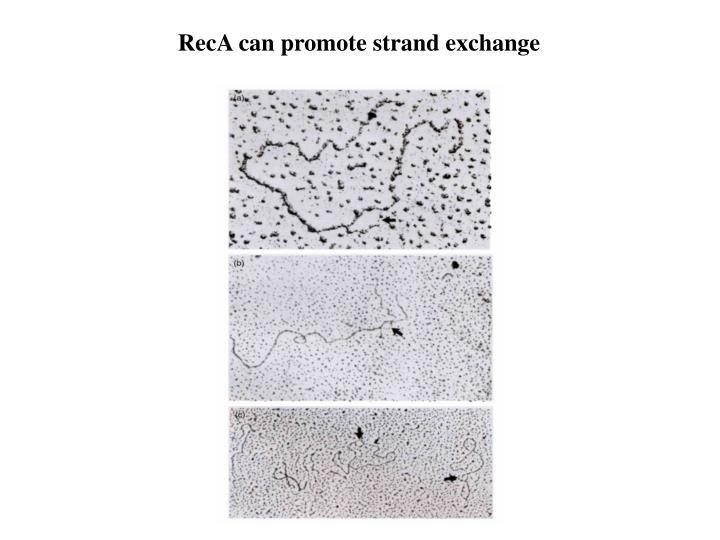 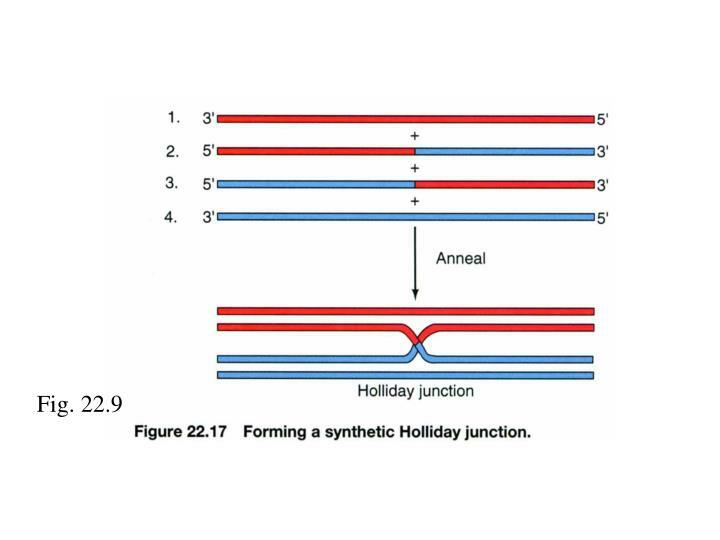 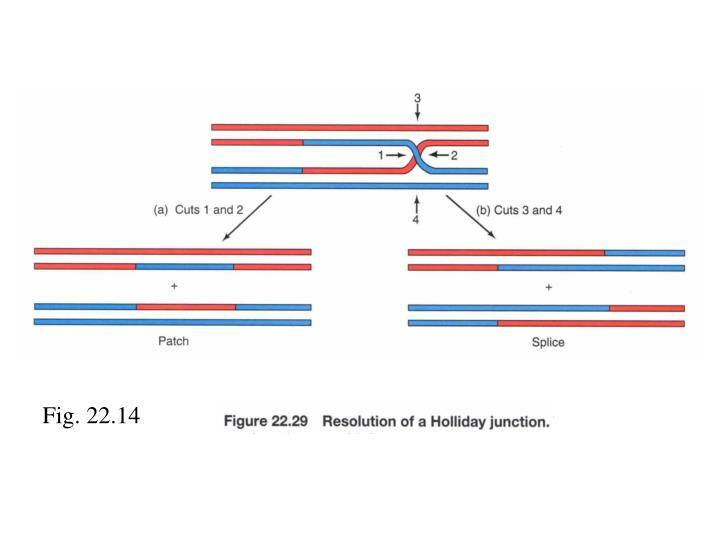 Synapsis: joint molecule formation to generate Holliday juncture (RecA). 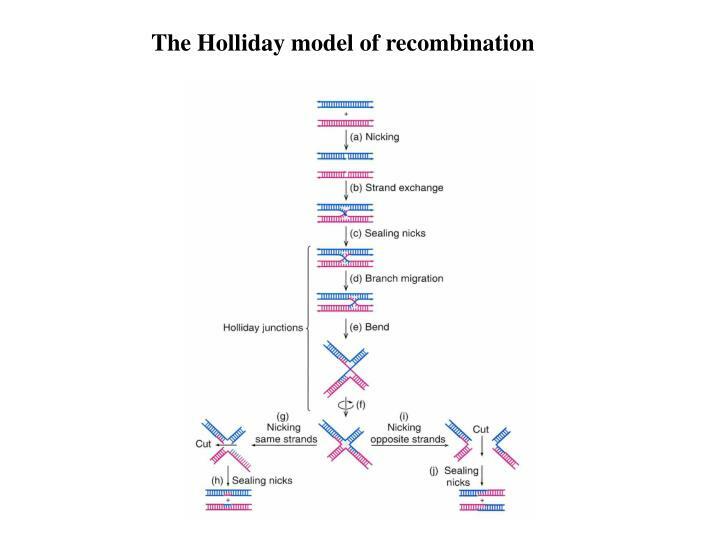 Postsynapsis: branch migration and resolution of Holliday juncture (RuvABC). 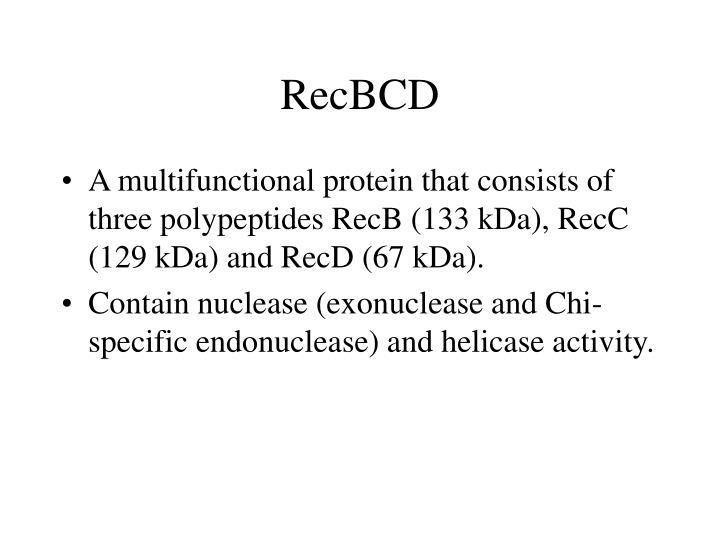 A multifunctional protein that consists of three polypeptides RecB (133 kDa), RecC (129 kDa) and RecD (67 kDa). 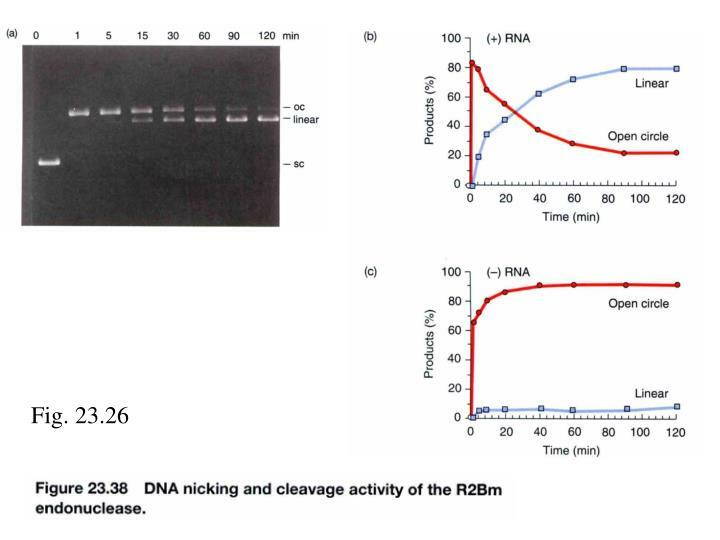 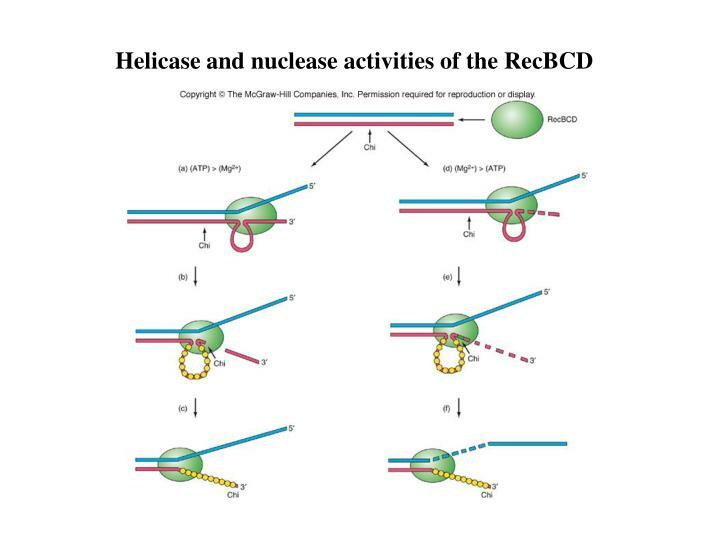 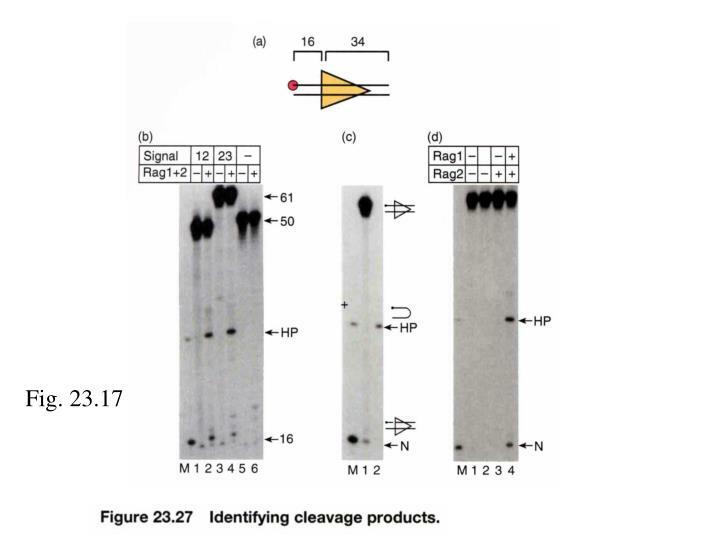 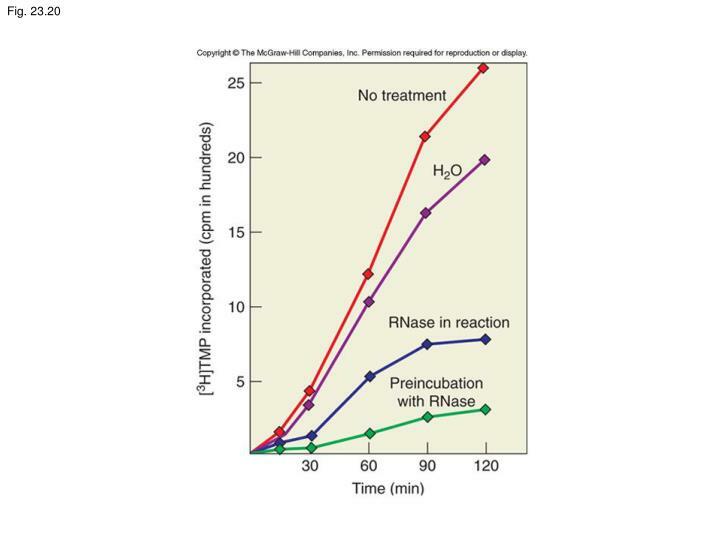 Contain nuclease (exonuclease and Chi-specific endonuclease) and helicase activity. 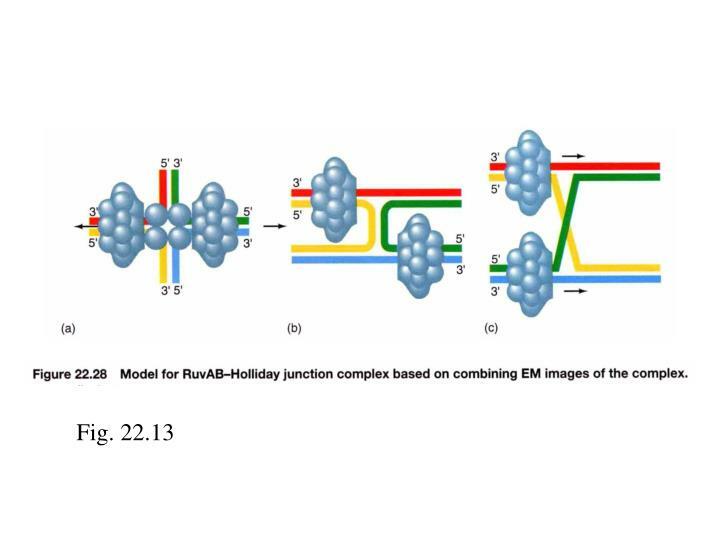 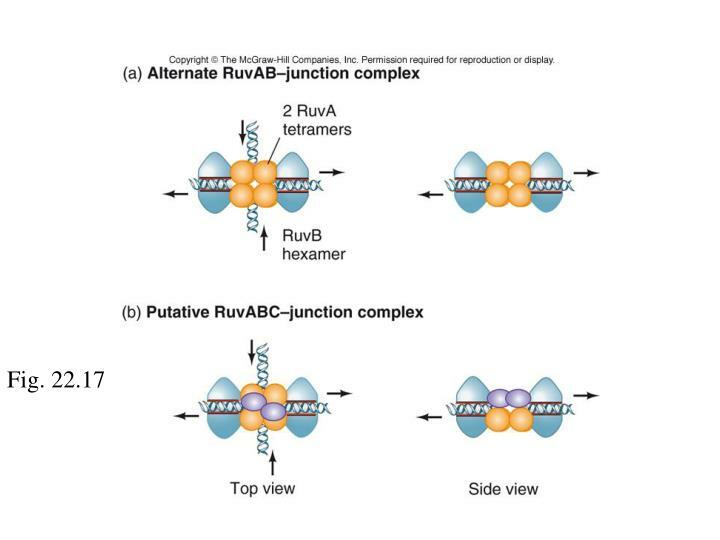 RuvA (22 kDa) binds a Holliday junction with high affinity, and together with RuvB (37 kDa) promotes ATP-dependent branch migration of the junctions leading to the formation of heteroduplex DNA. 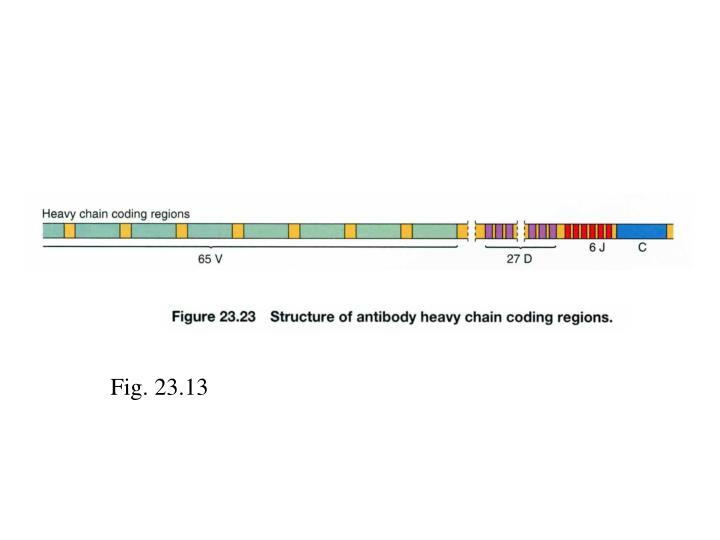 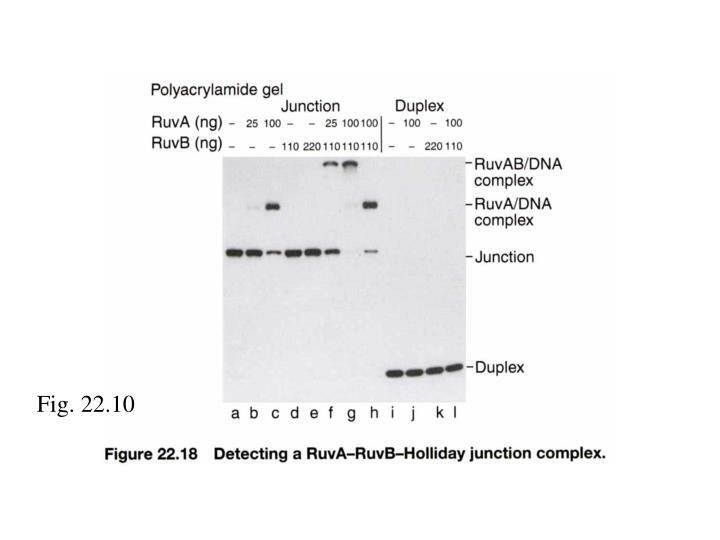 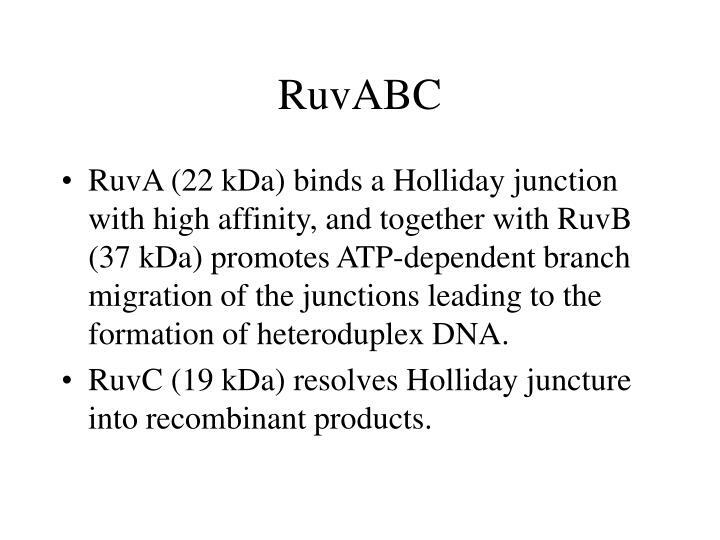 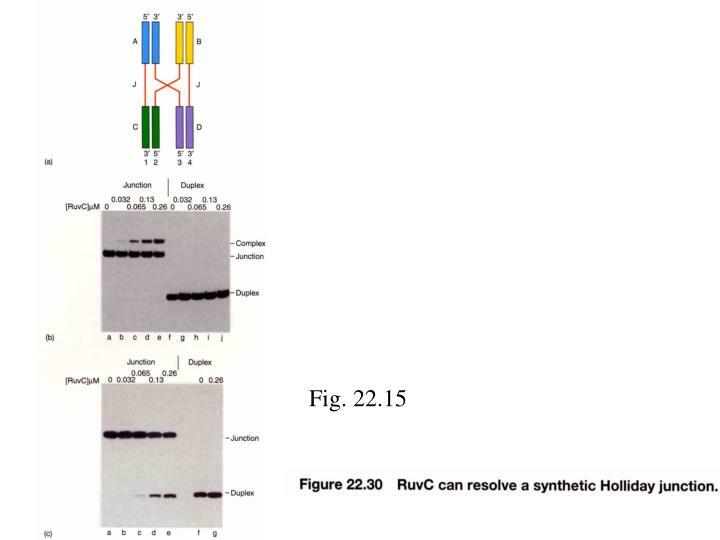 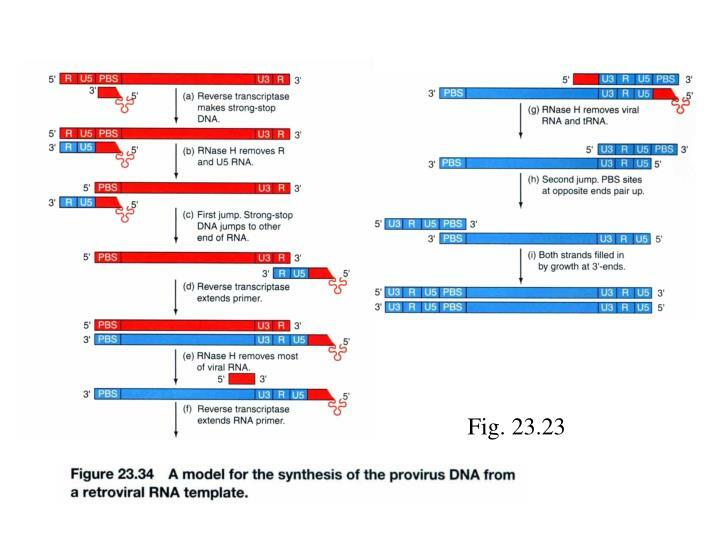 RuvC (19 kDa) resolves Holliday juncture into recombinant products. 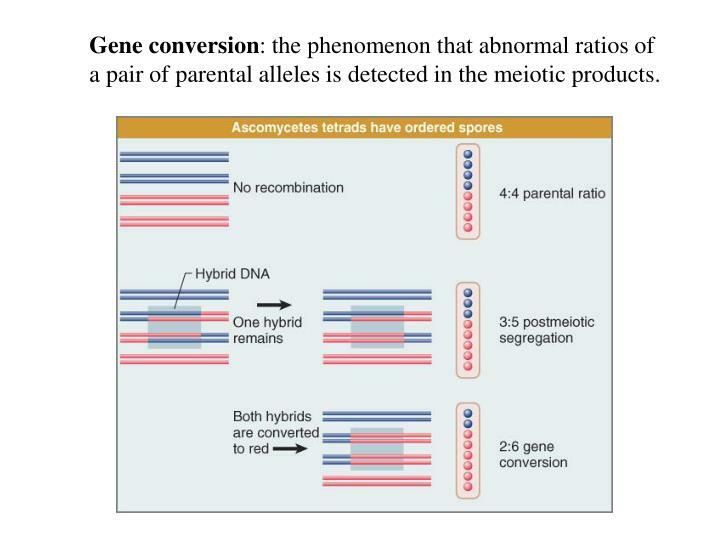 a pair of parental alleles is detected in the meiotic products. 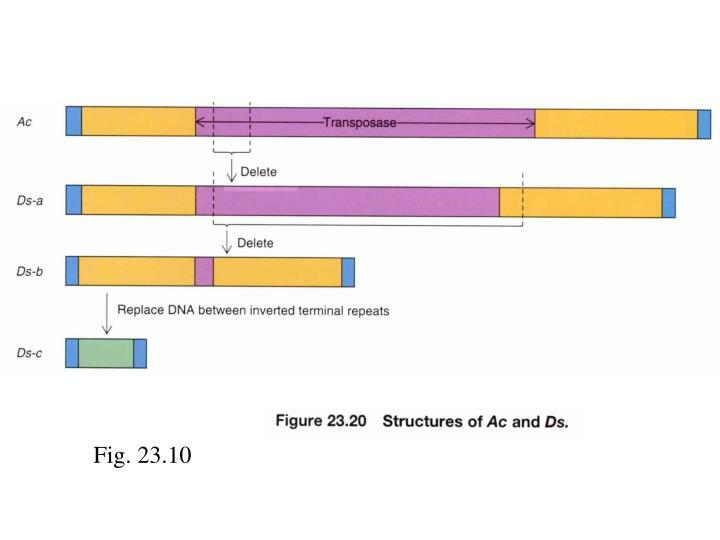 Transposition is mediated by transposable elements, or transposons. 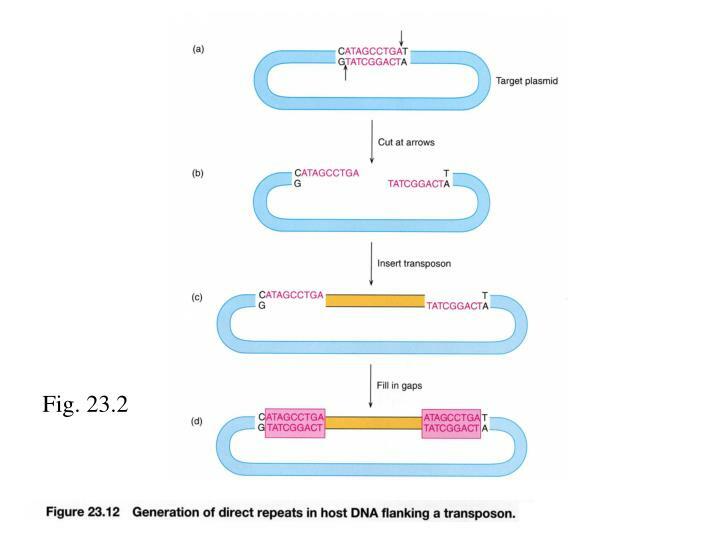 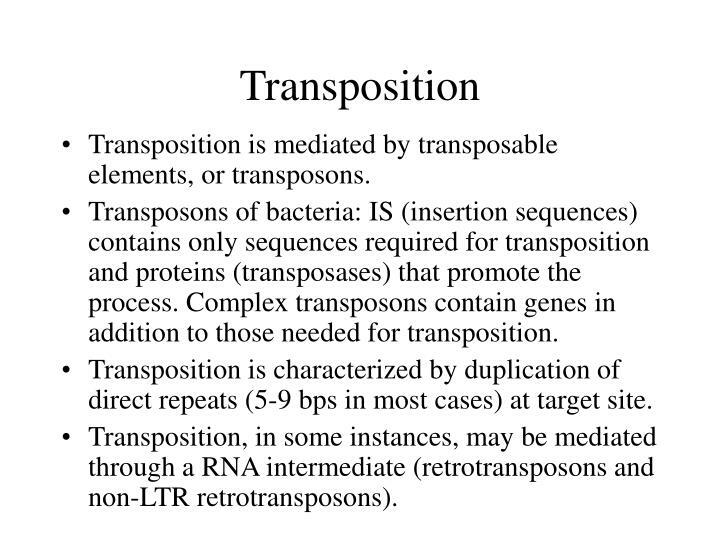 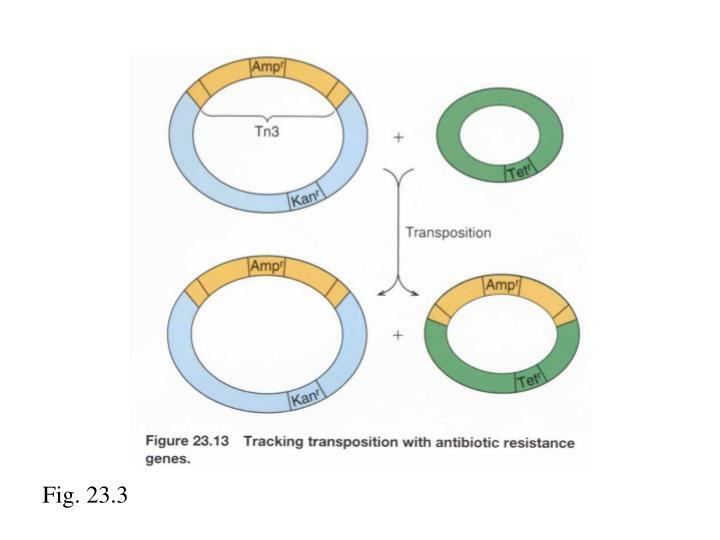 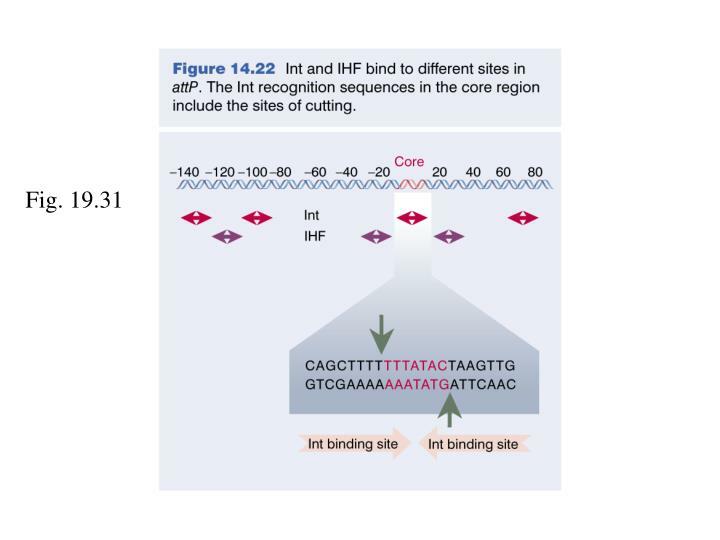 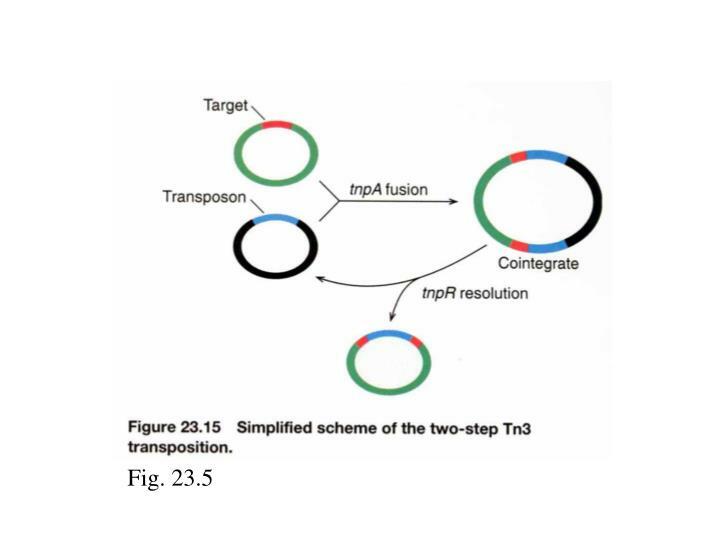 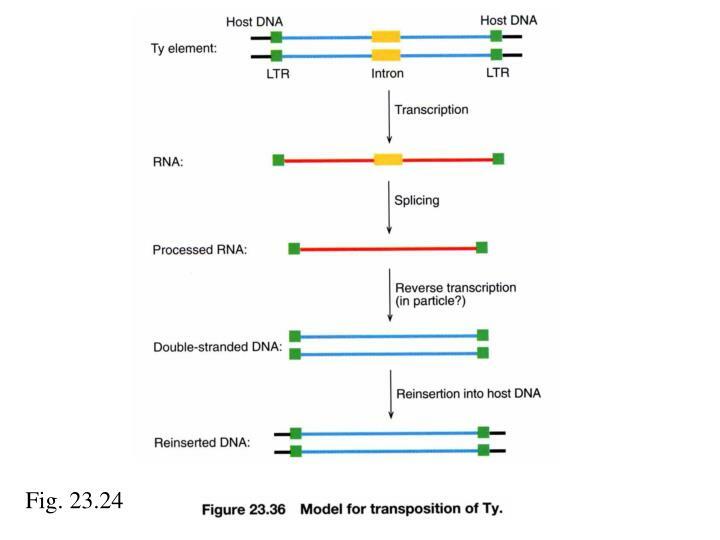 Transposons of bacteria: IS (insertion sequences) contains only sequences required for transposition and proteins (transposases) that promote the process. 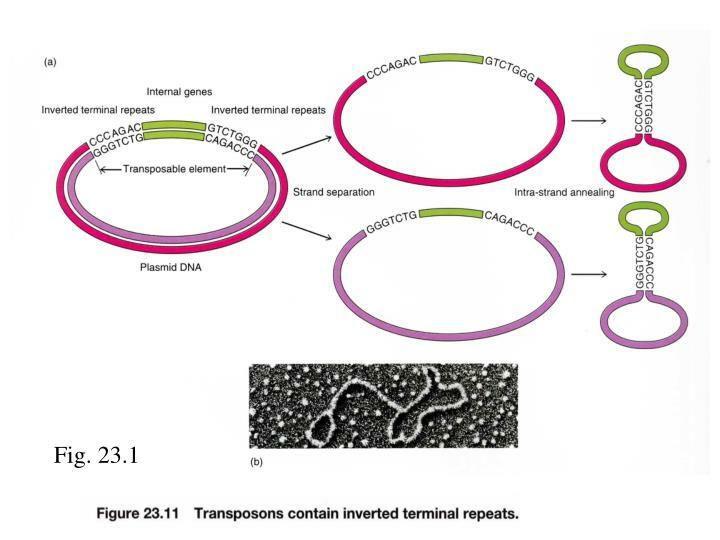 Complex transposons contain genes in addition to those needed for transposition. 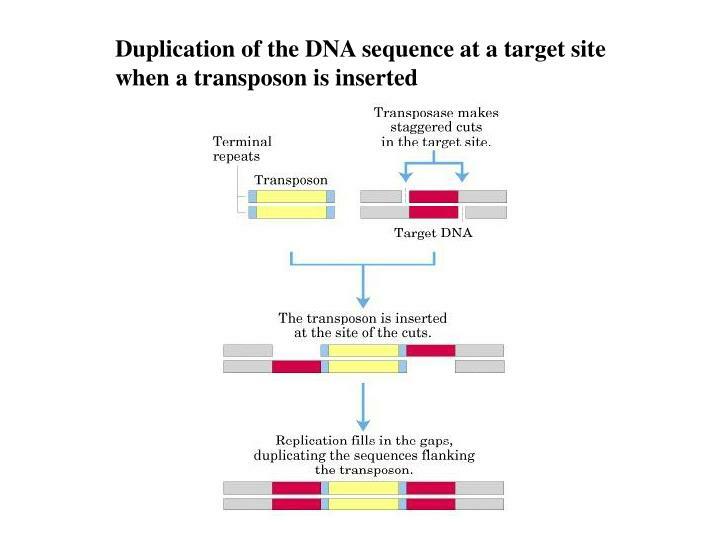 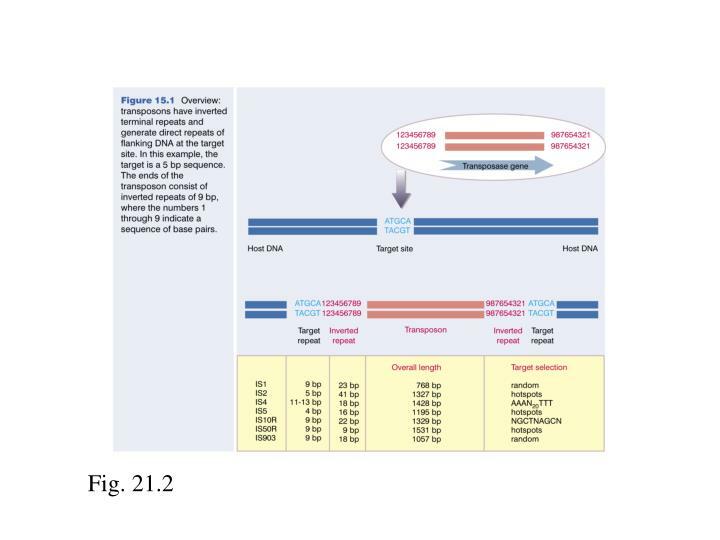 Transposition is characterized by duplication of direct repeats (5-9 bps in most cases) at target site. 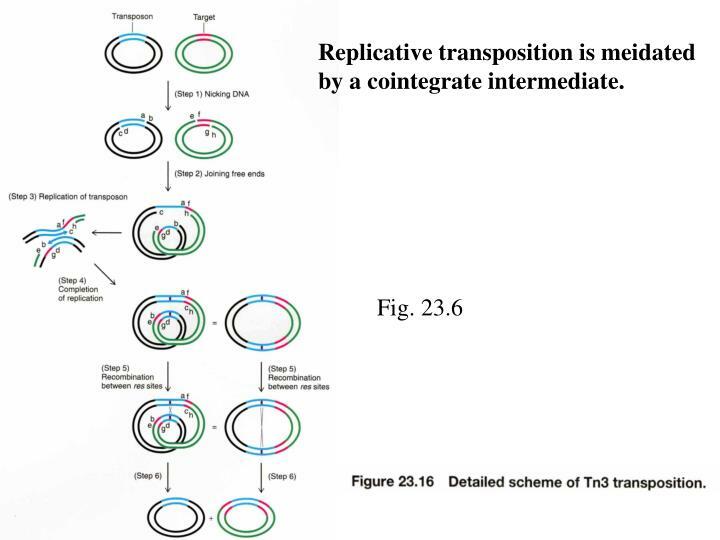 Transposition, in some instances, may be mediated through a RNA intermediate (retrotransposons and non-LTR retrotransposons). 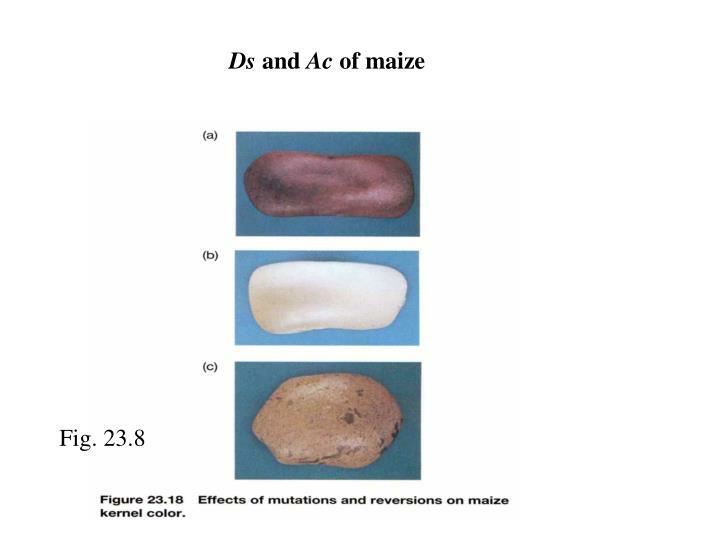 DNA transposons: (i) Ds and Ac of maize, (ii) Drosophila P elements. 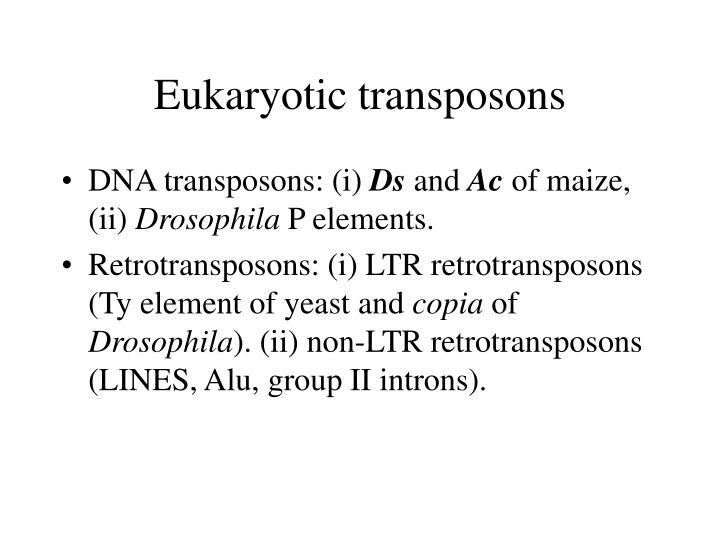 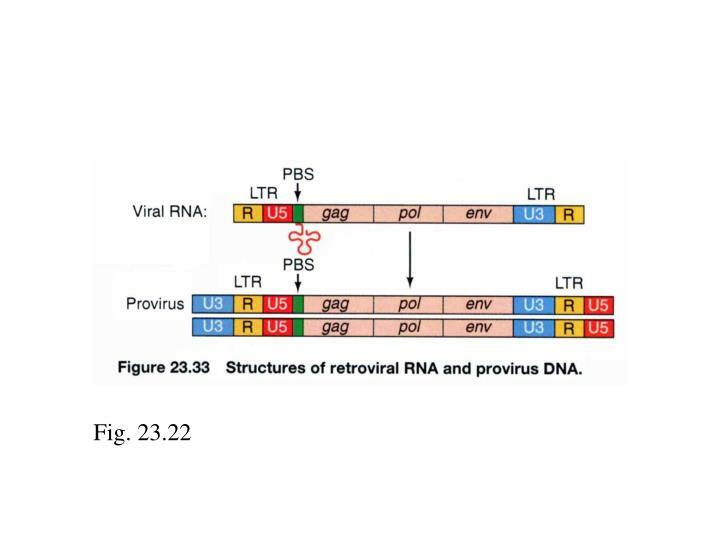 Retrotransposons: (i) LTR retrotransposons (Ty element of yeast and copia of Drosophila). 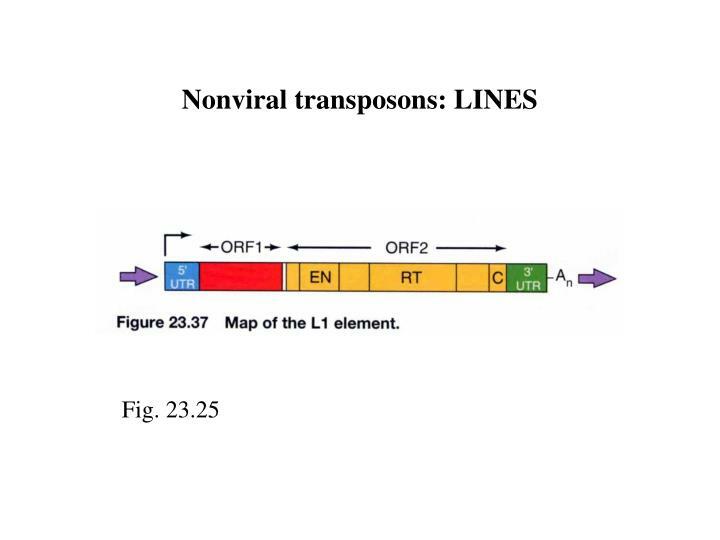 (ii) non-LTR retrotransposons (LINES, Alu, group II introns). 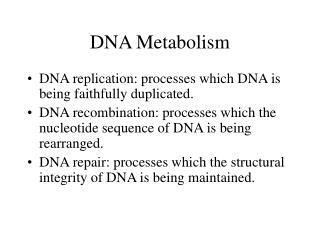 DNA damage may arise: (i) spontaneously, (ii) environmental exposure to mutagens, or (iii) cellular metabolism. 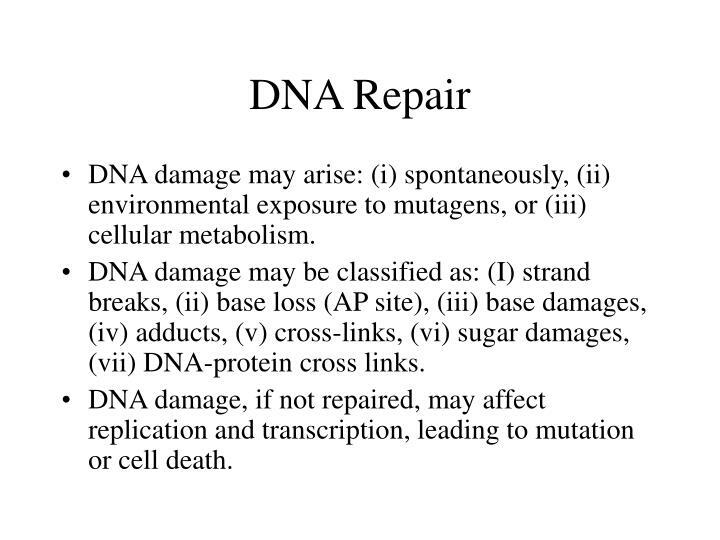 DNA damage may be classified as: (I) strand breaks, (ii) base loss (AP site), (iii) base damages, (iv) adducts, (v) cross-links, (vi) sugar damages, (vii) DNA-protein cross links. 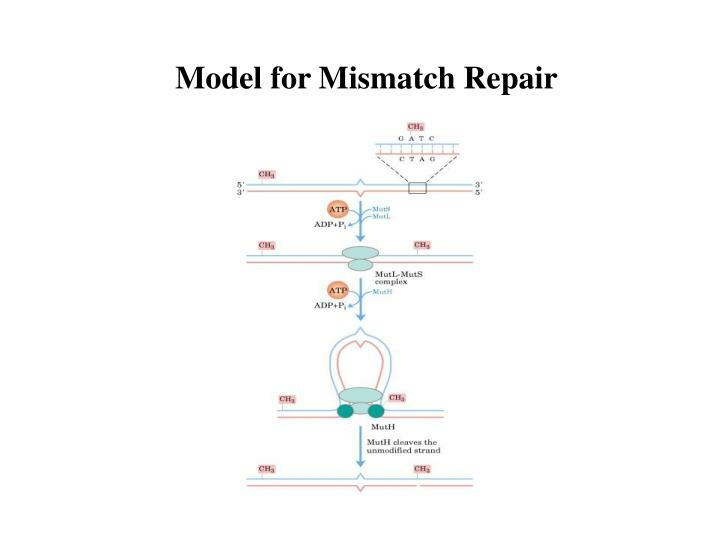 DNA damage, if not repaired, may affect replication and transcription, leading to mutation or cell death. 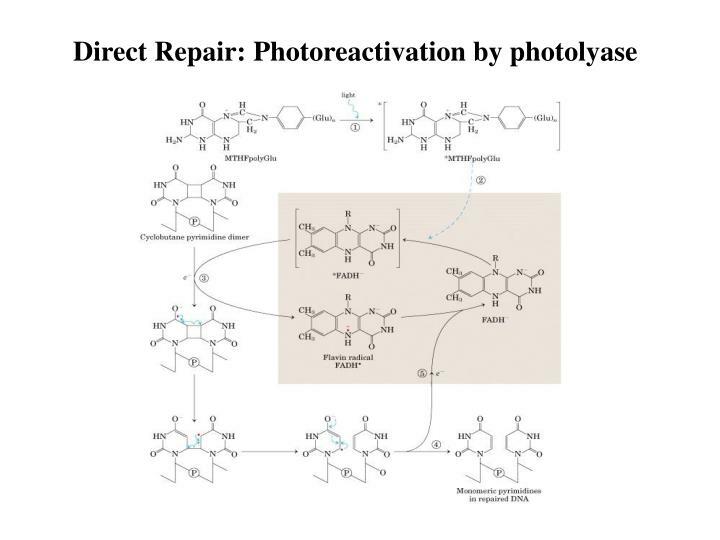 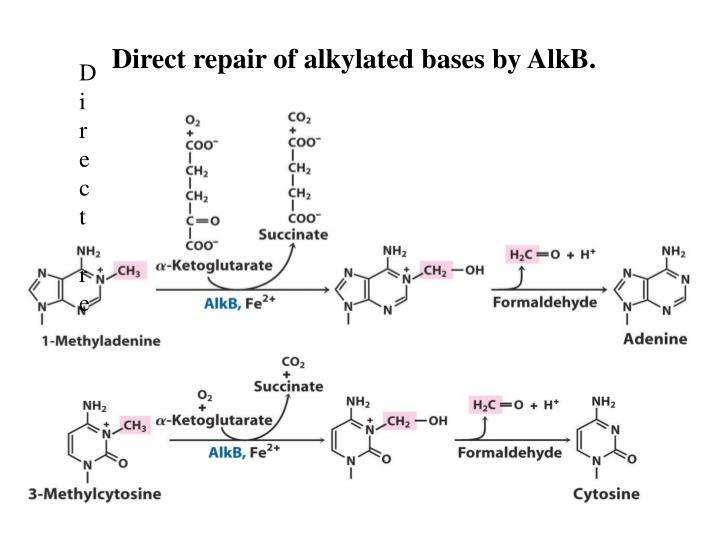 Direct repair of alkylated bases by AlkB. 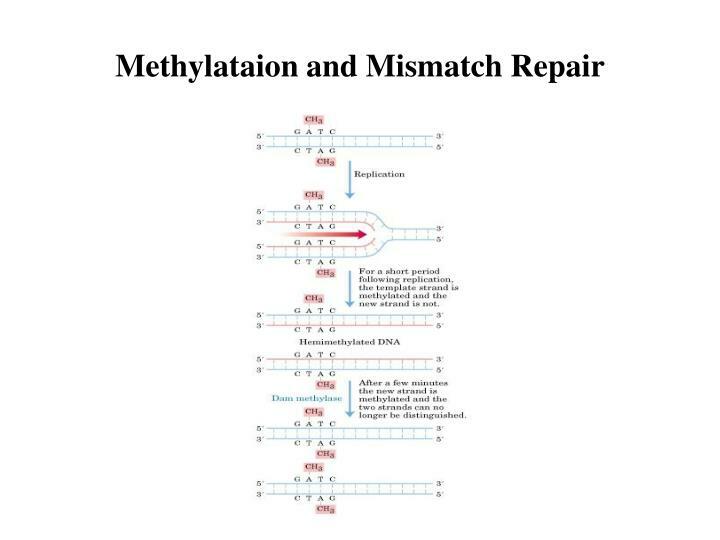 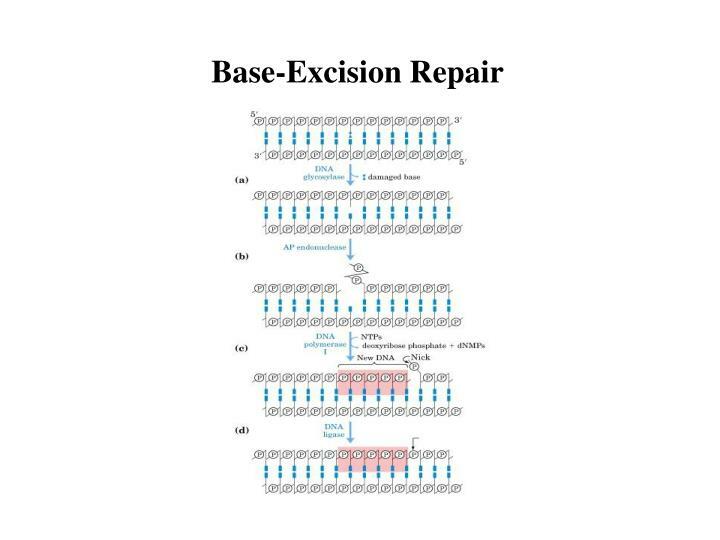 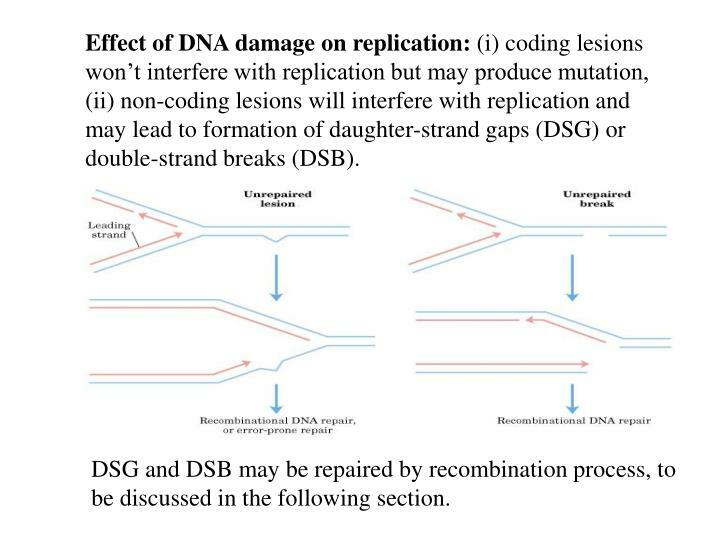 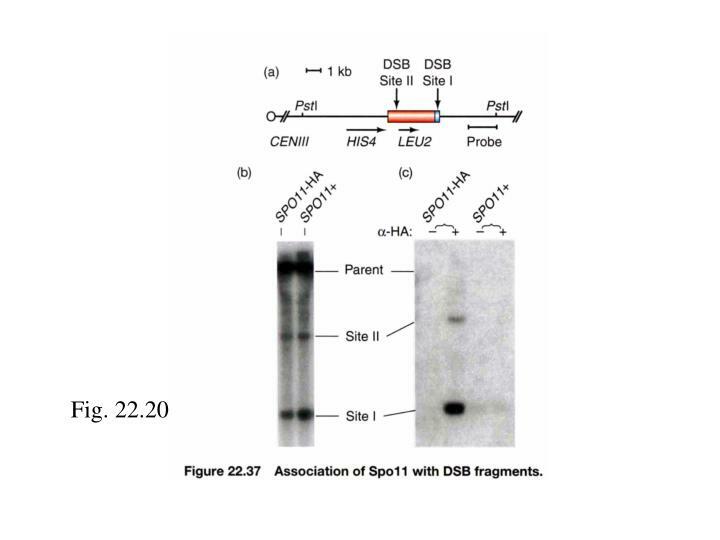 Effect of DNA damage on replication: (i) coding lesions won’t interfere with replication but may produce mutation, (ii) non-coding lesions will interfere with replication and may lead to formation of daughter-strand gaps (DSG) or double-strand breaks (DSB). 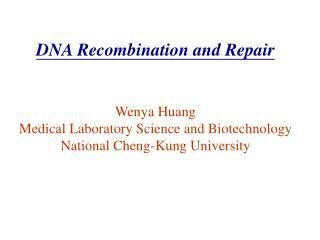 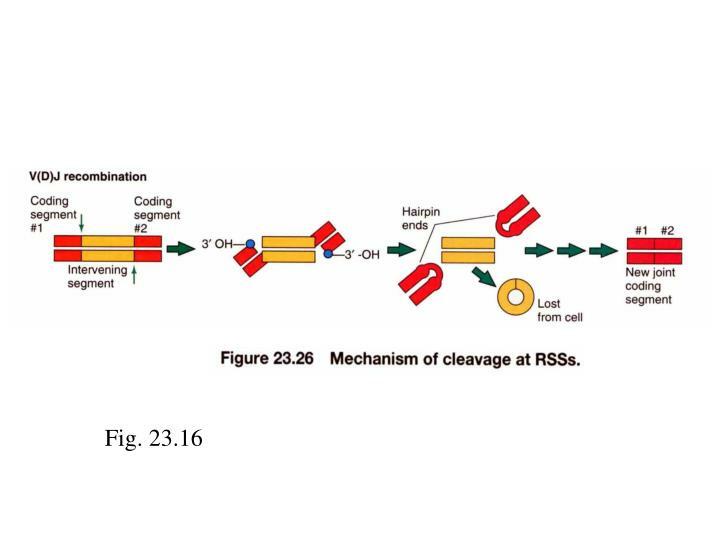 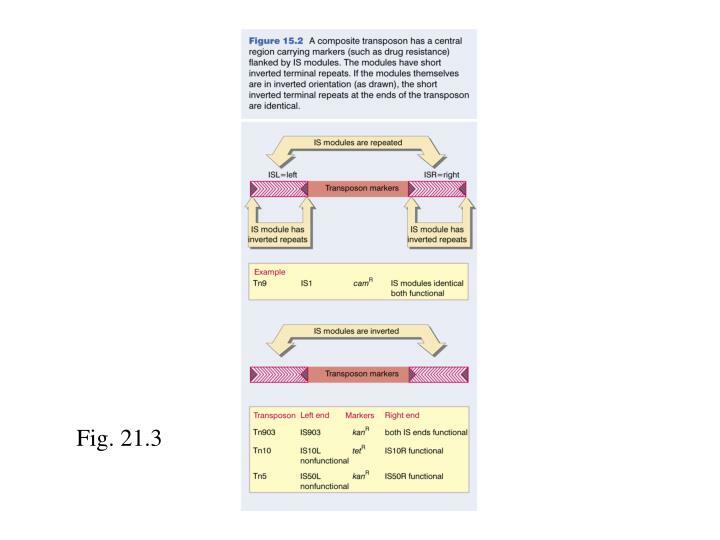 DSG and DSB may be repaired by recombination process, to be discussed in the following section. 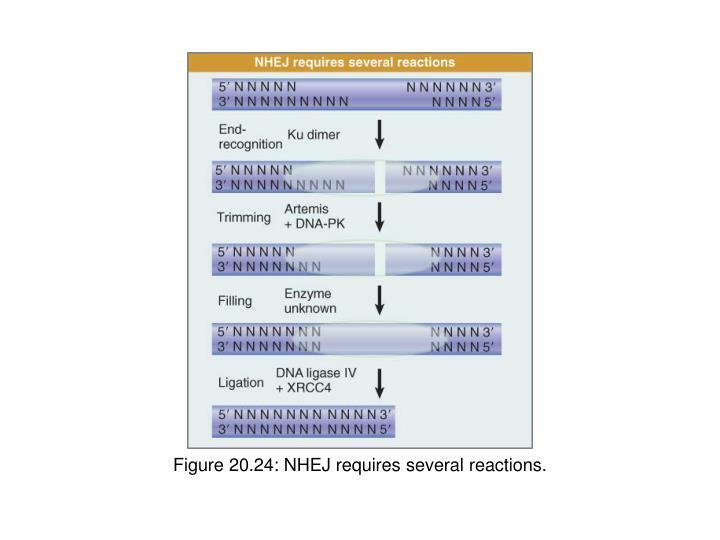 Figure 20.24: NHEJ requires several reactions. 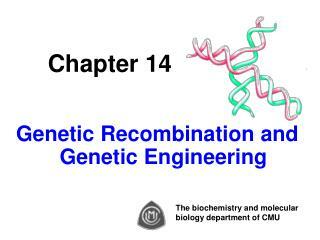 Genetic recombination: 1.Homologous R ecombination 2. 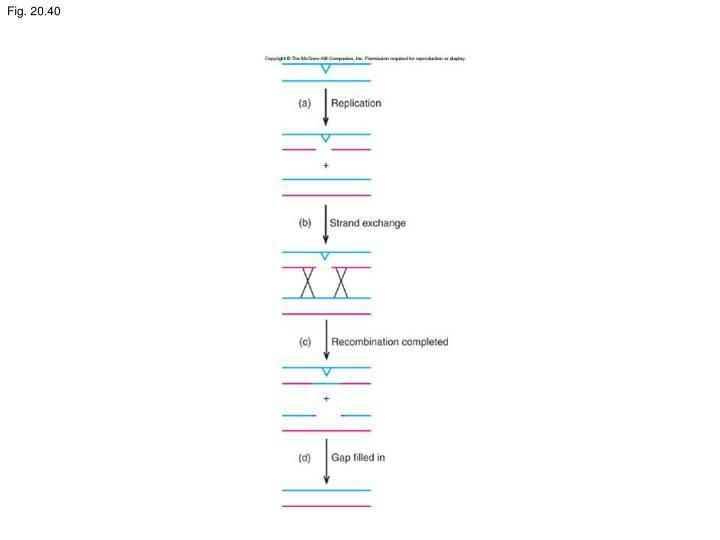 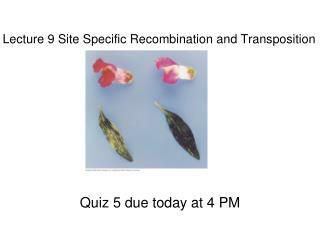 Site-Specific R ecombination -Genetic recombination: 1.homologous r ecombination 2. site-specific r ecombination 3. dna transposition. 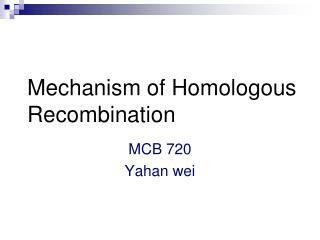 homologous recombination at the molecular level. 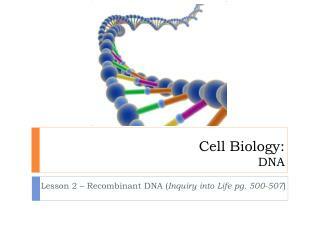 Cell Biology: DNA -. 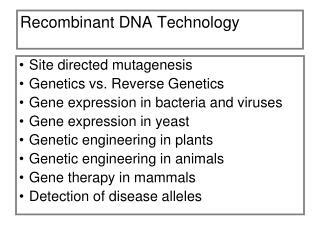 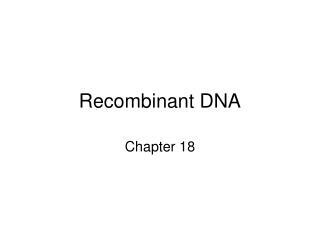 lesson 2 – recombinant dna ( inquiry into life pg. 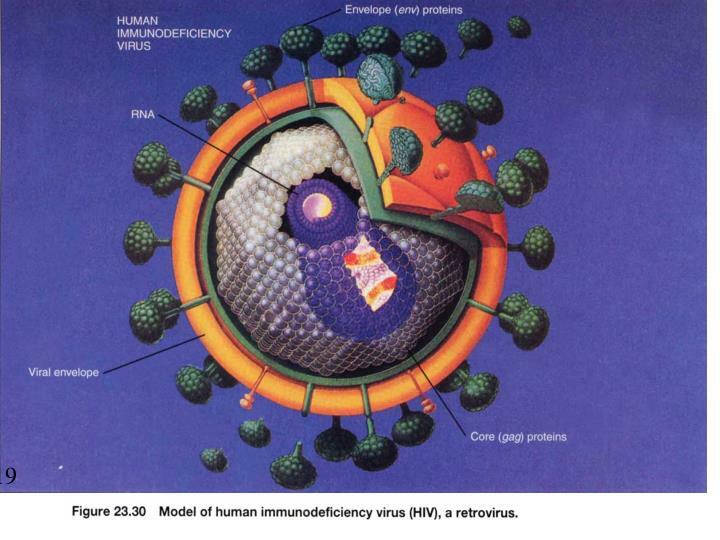 500-507 ). 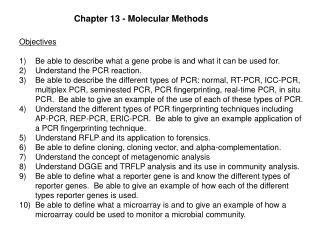 today’s objectives. 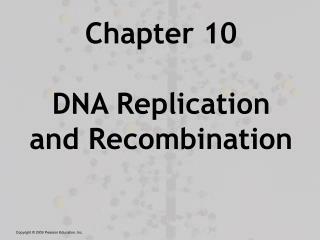 describe recombinant dna, including: define recombinant dna describe a minimum of 3 uses for recombinant dna. 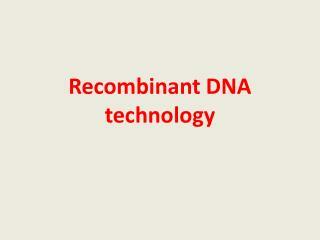 recombinant dna. 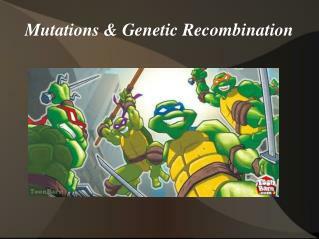 Recombination -. 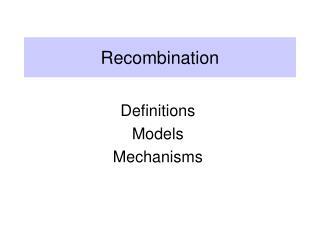 definitions models mechanisms. 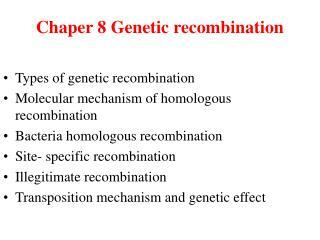 definition of recombination. 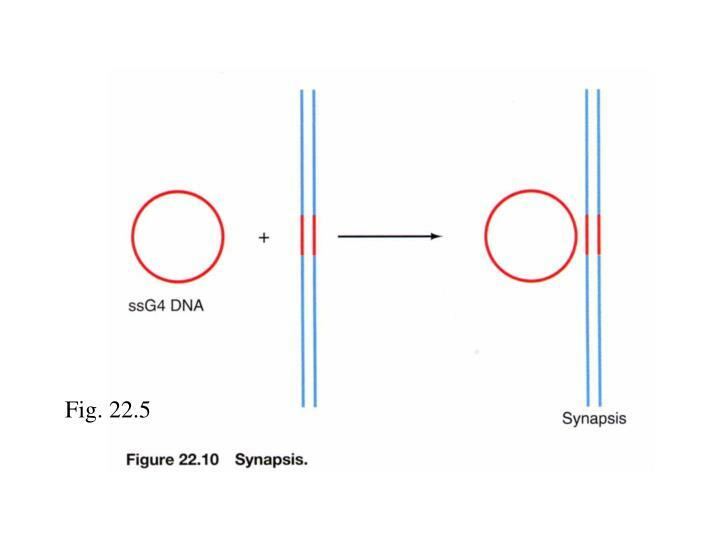 breaking and rejoining of two parental dna molecules to produce new dna molecules. 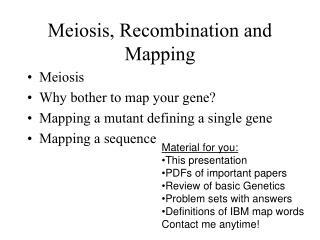 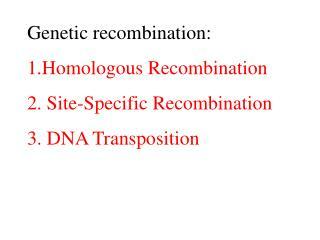 types of recombination. 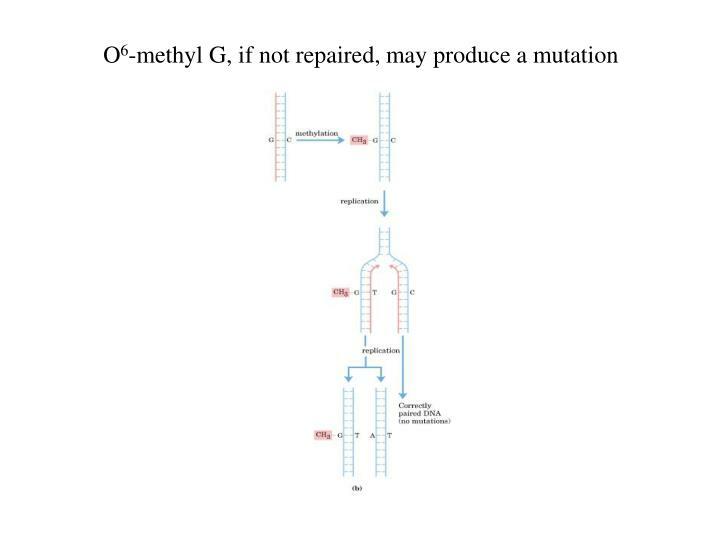 a+. 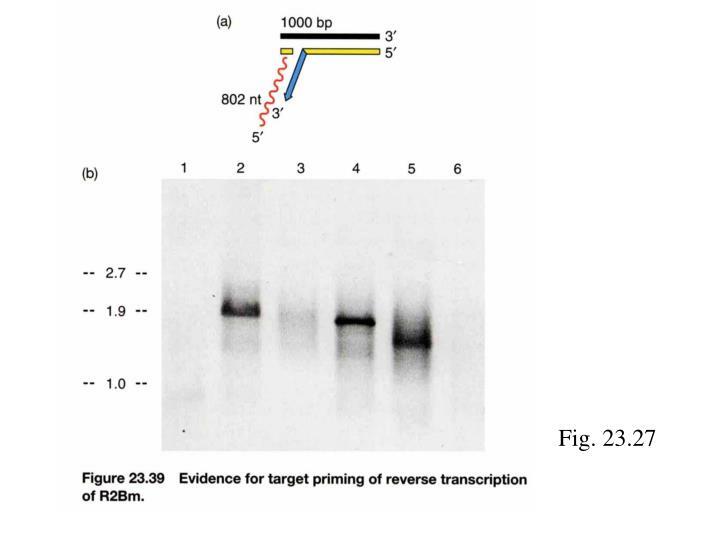 b-. 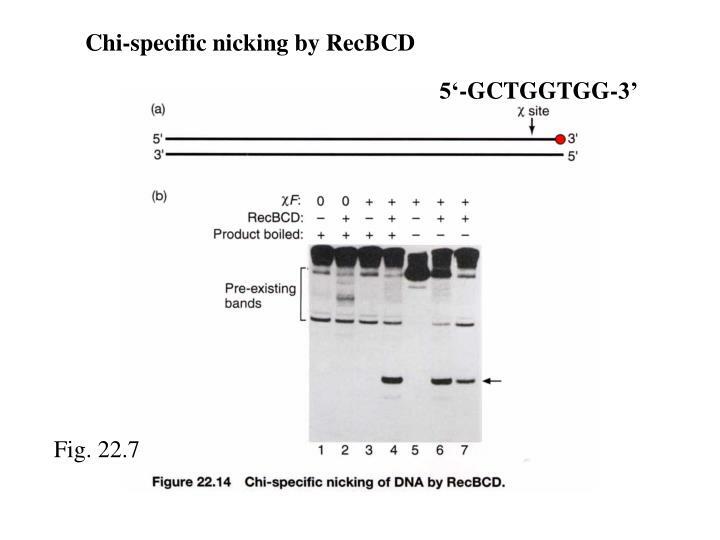 c-. 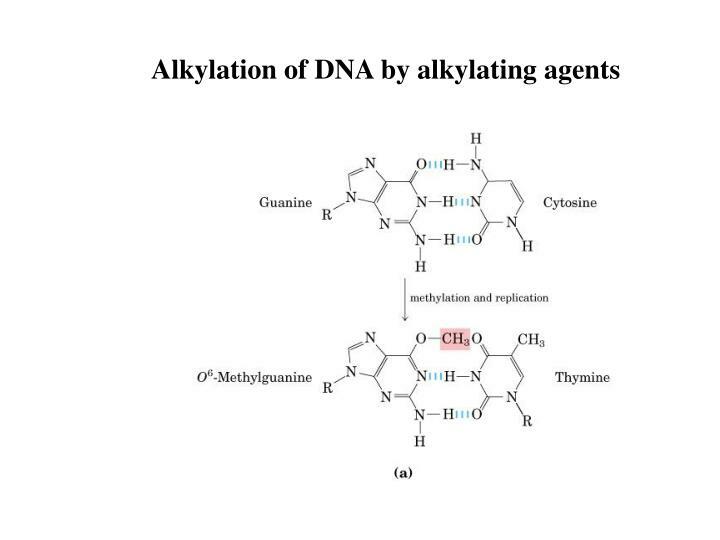 a+. 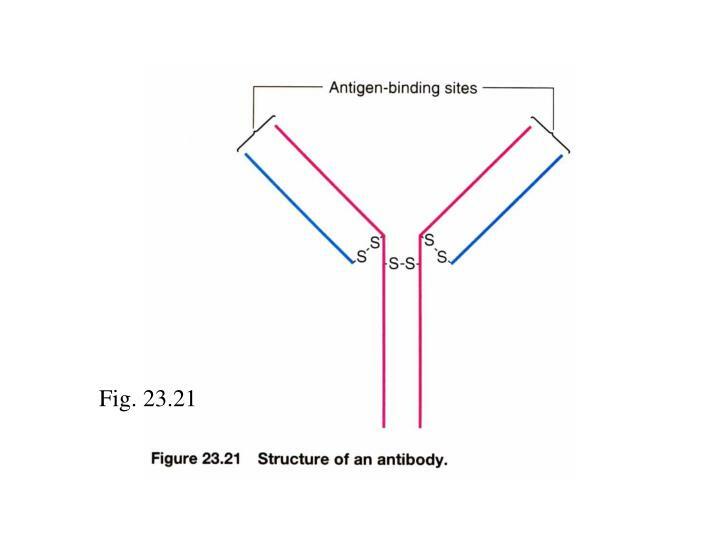 b+. 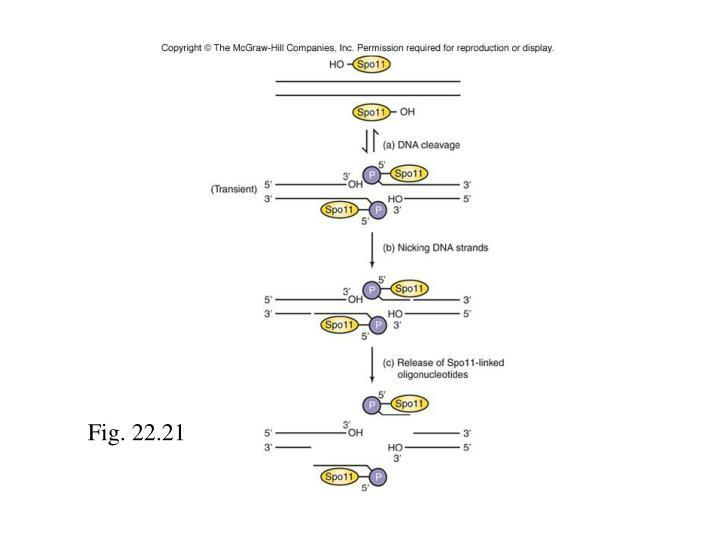 c+. 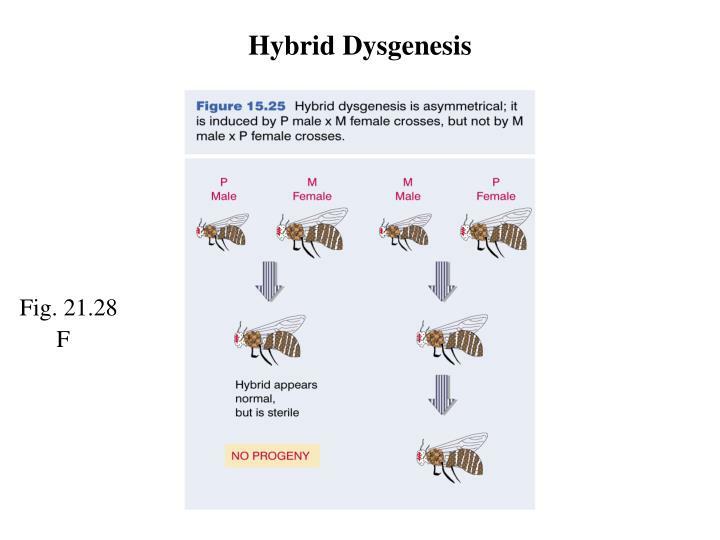 homologous or general. 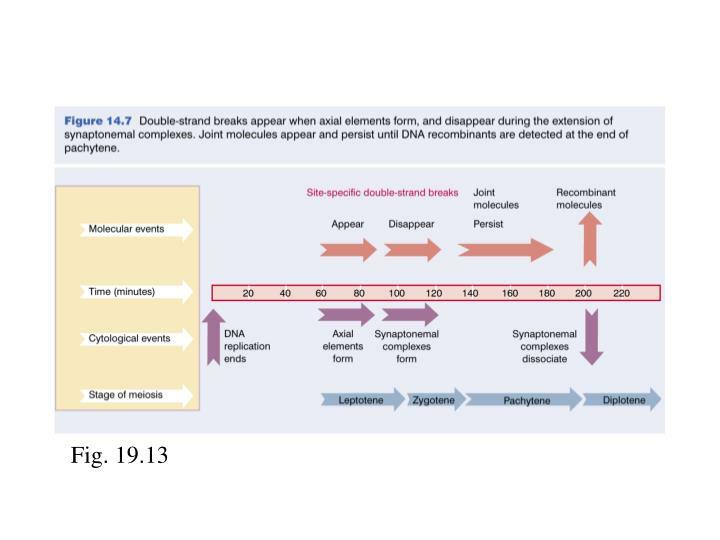 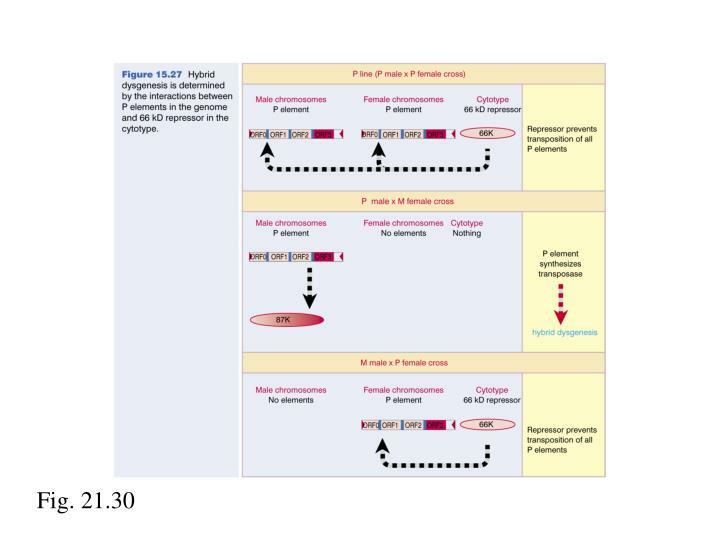 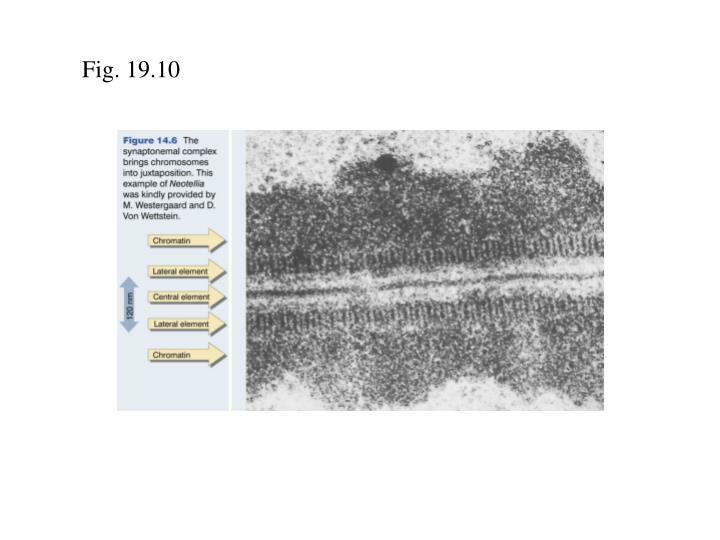 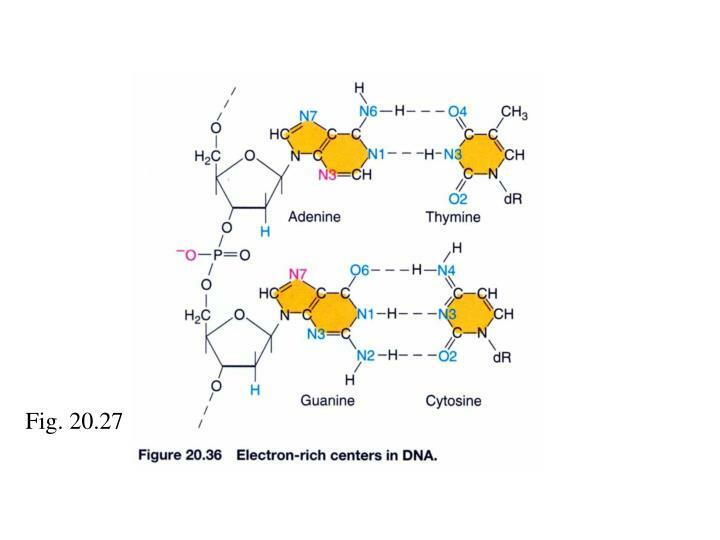 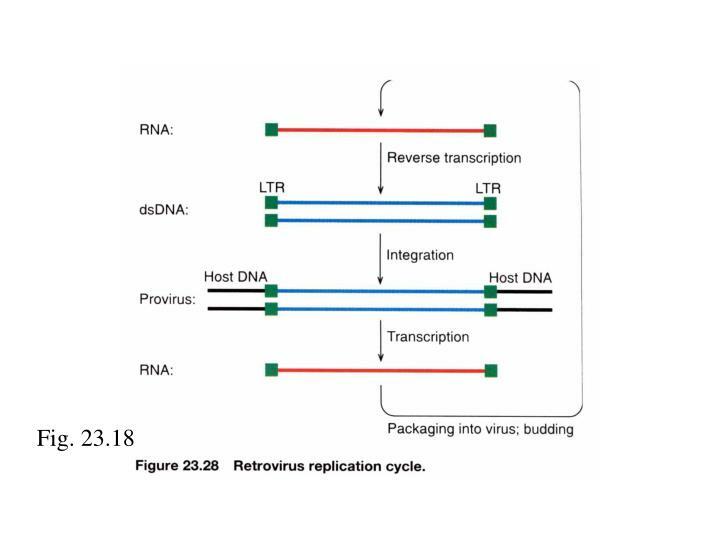 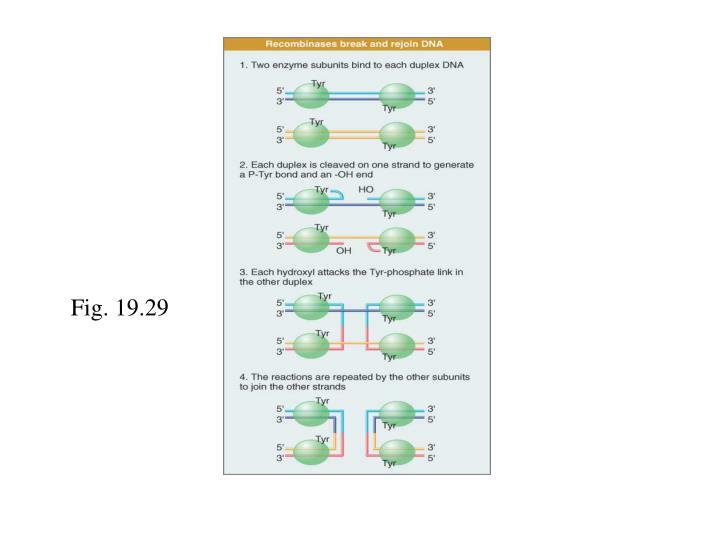 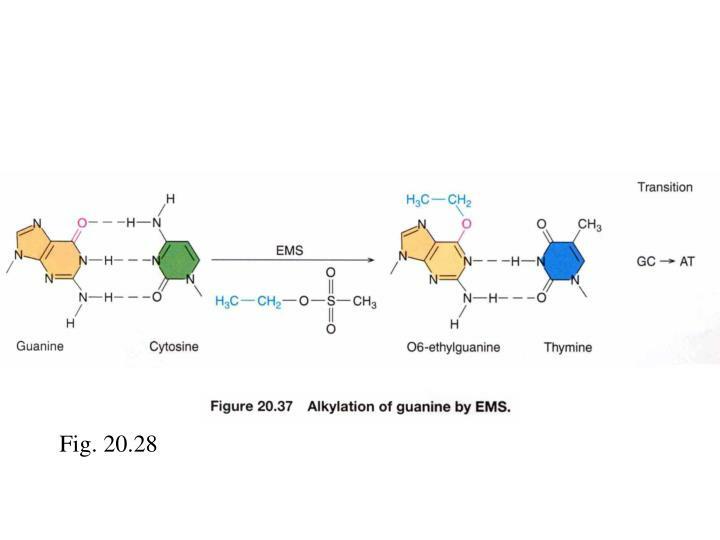 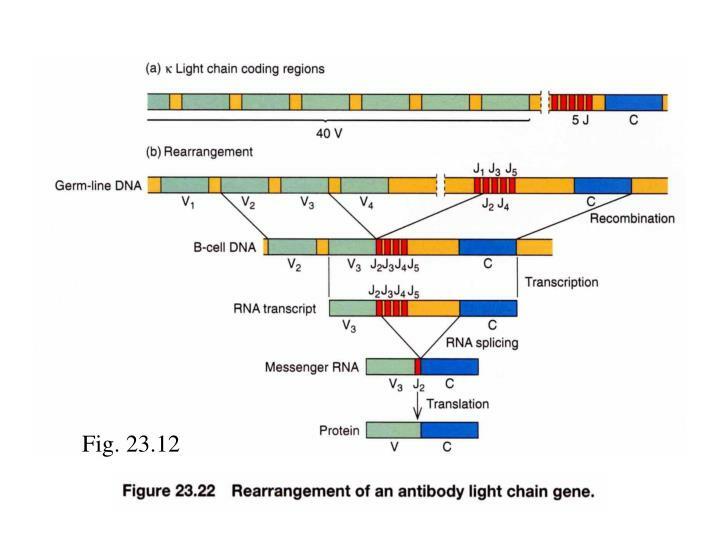 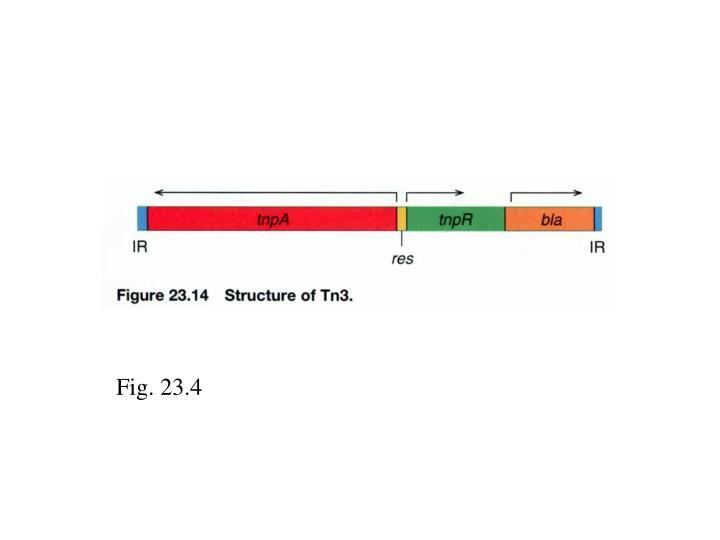 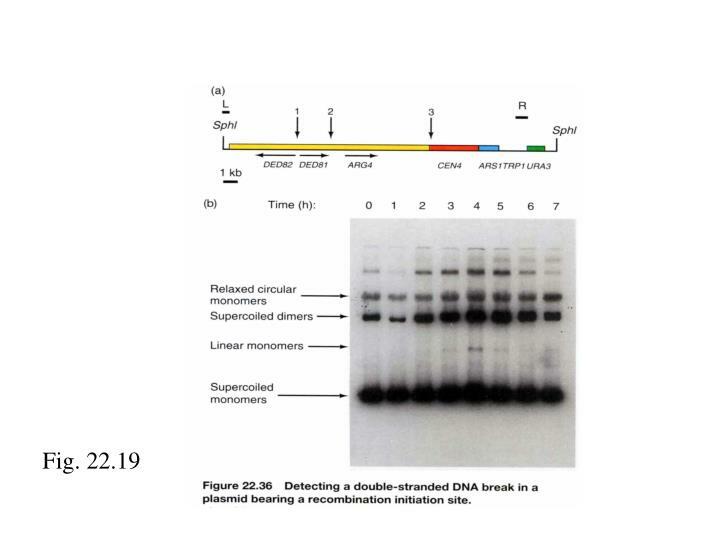 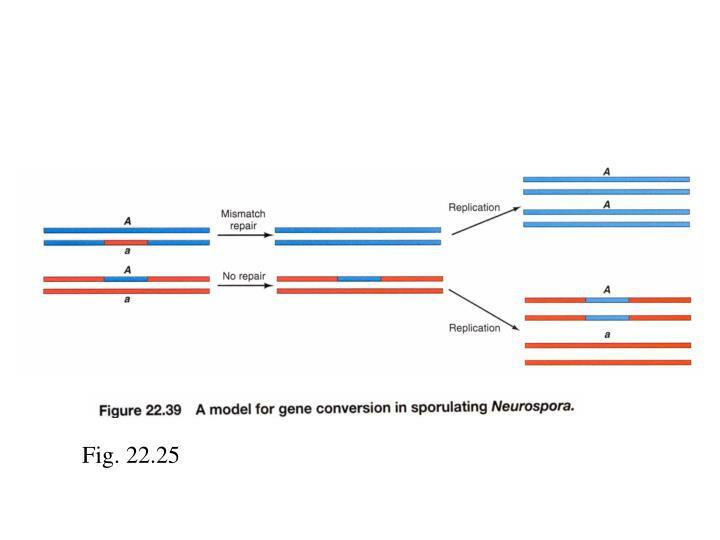 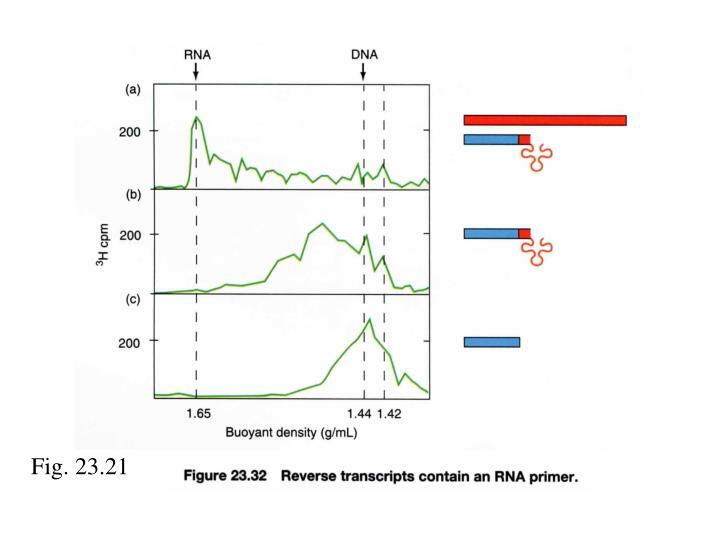 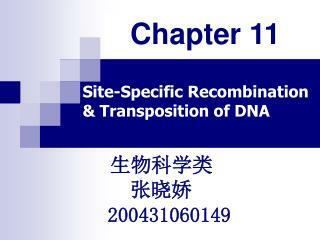 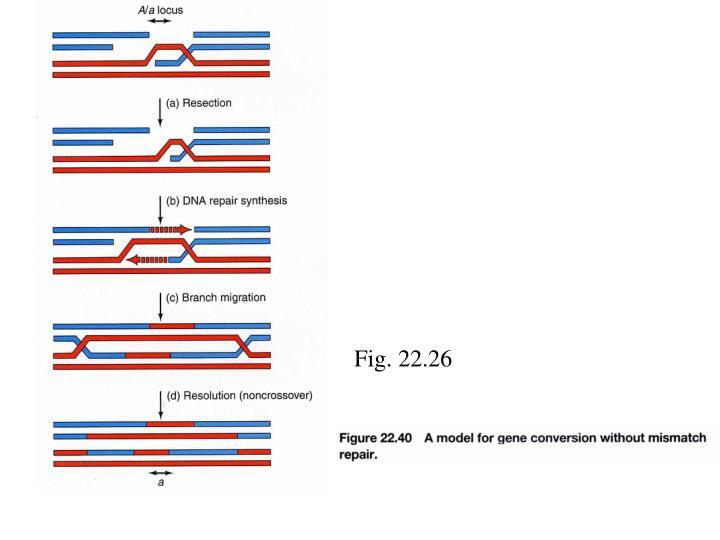 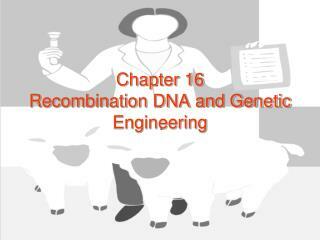 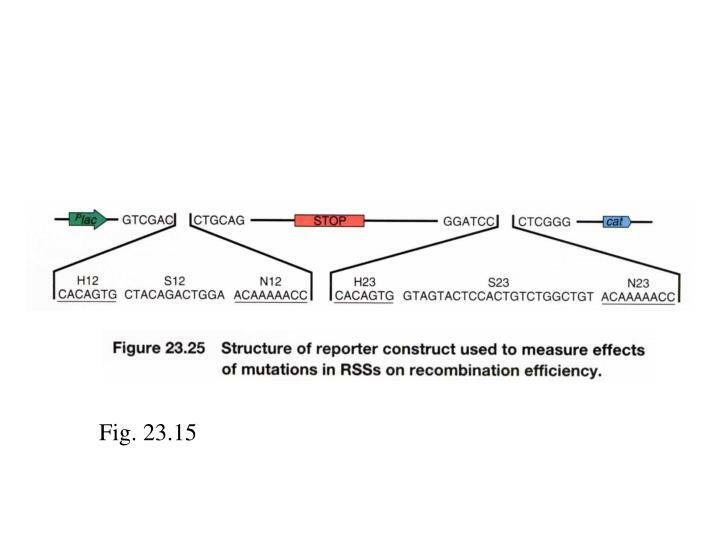 Chapter 25 DNA Metabolism Replication, Repair and Recombination -. 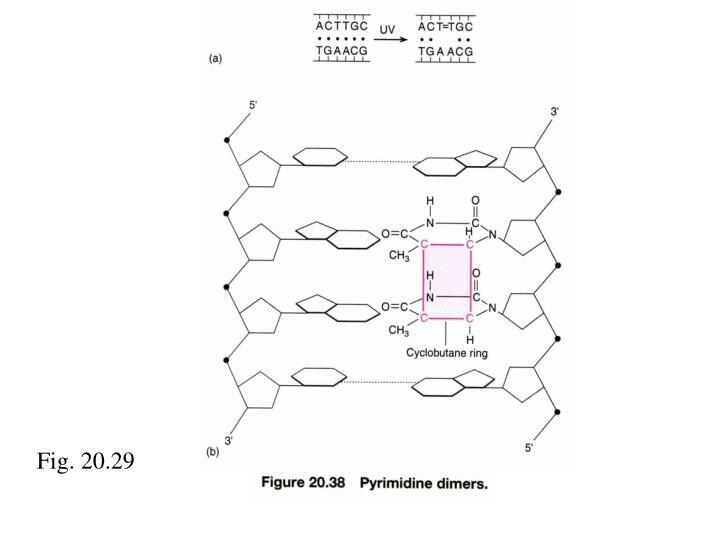 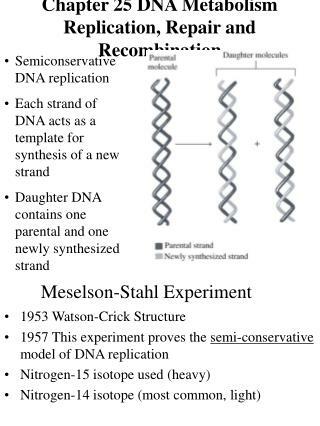 semiconservative dna replication each strand of dna acts as a template for synthesis of a new strand daughter dna contains one parental and one newly synthesized strand.